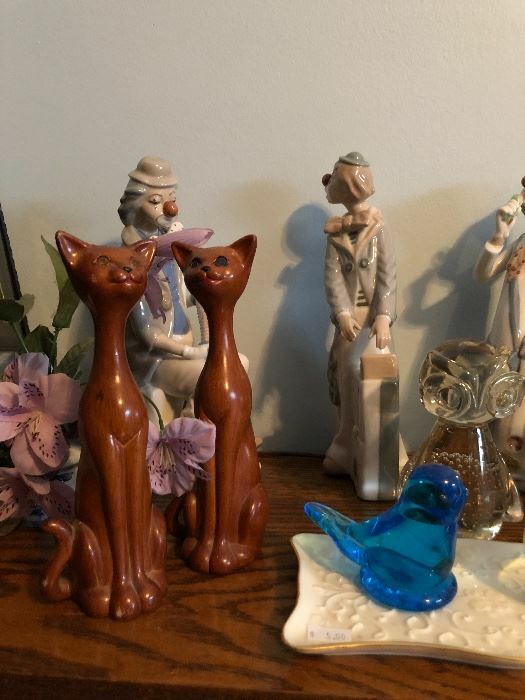 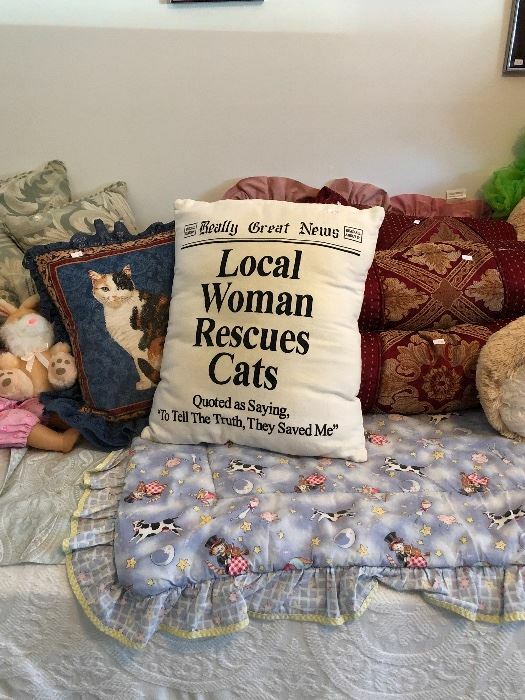 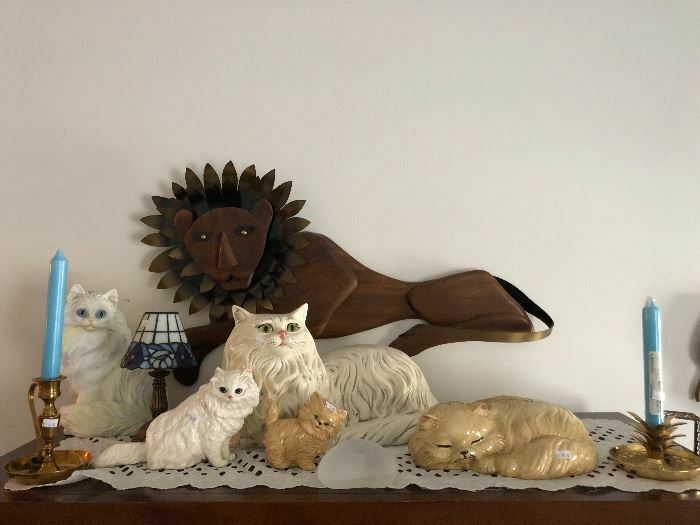 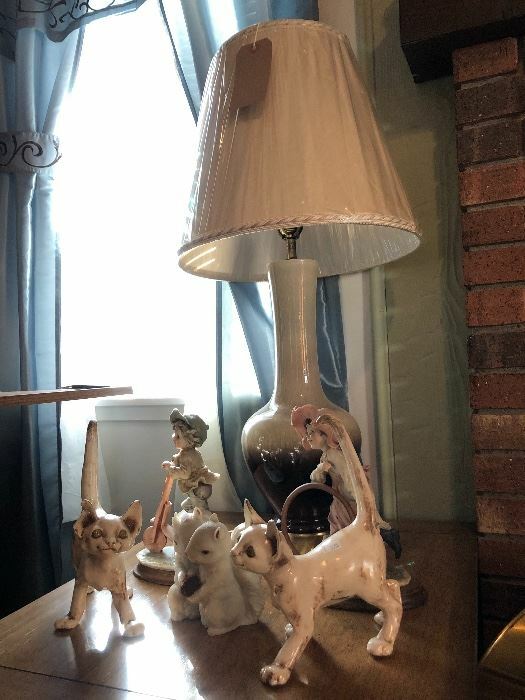 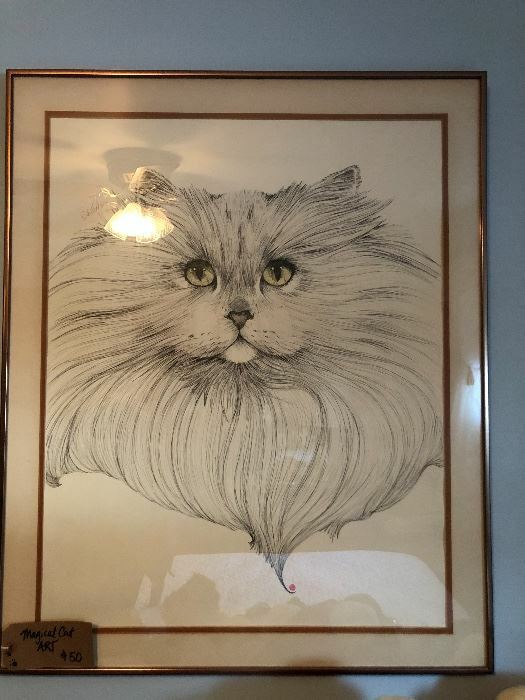 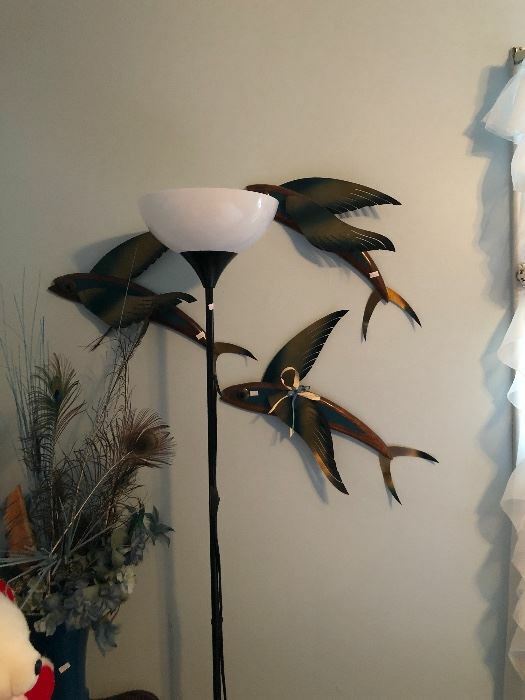 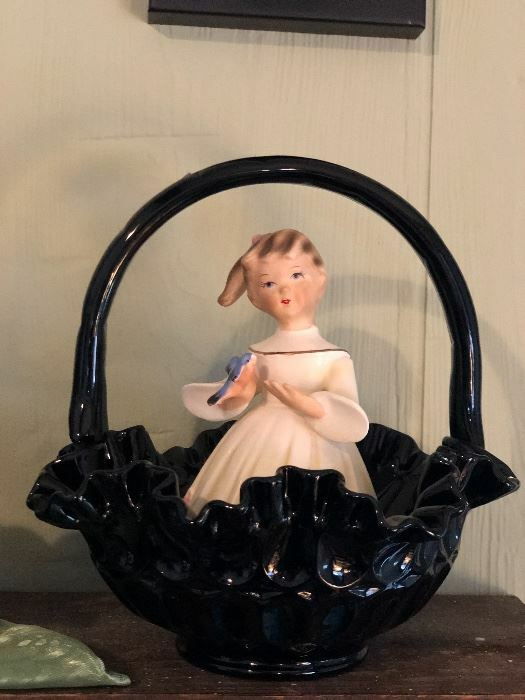 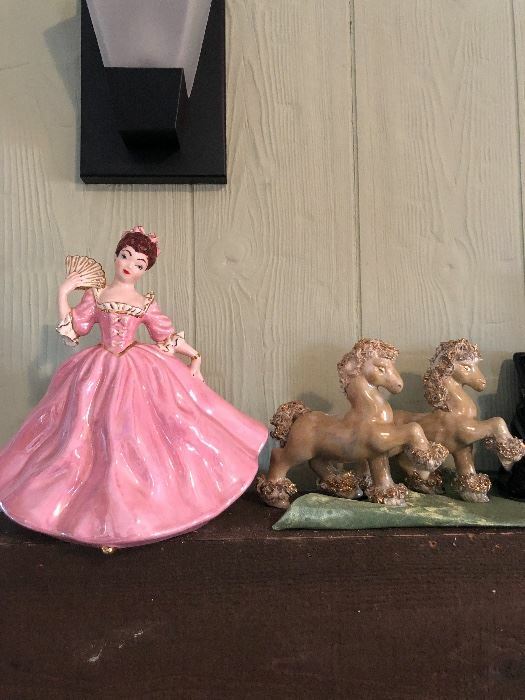 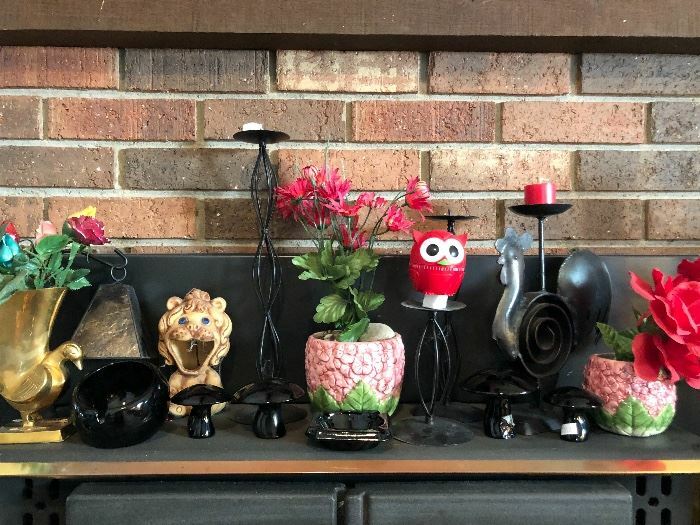 Vintage Pottery Cats & Figurines, Mirrored Hall Tree, Wood & Brass Animal Wall Art, Contemporary Hutch, Nesting Tables, Vintage Recliner, Vintage Desk, and more. 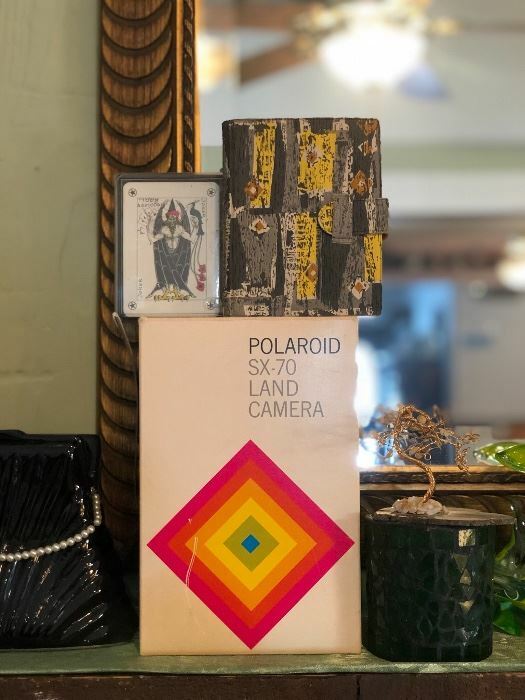 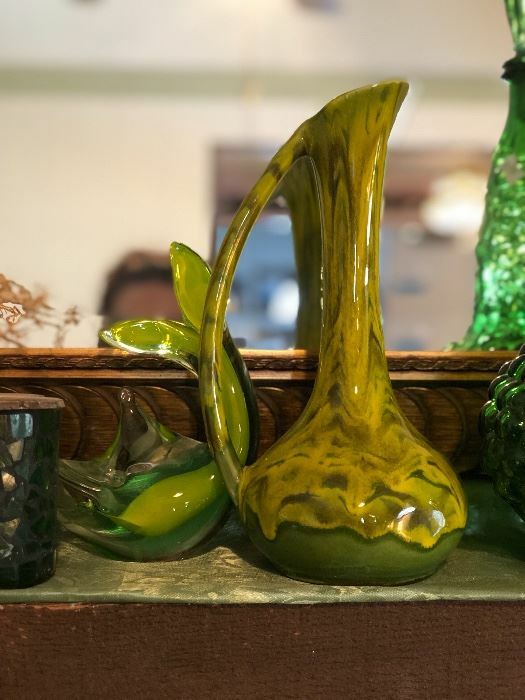 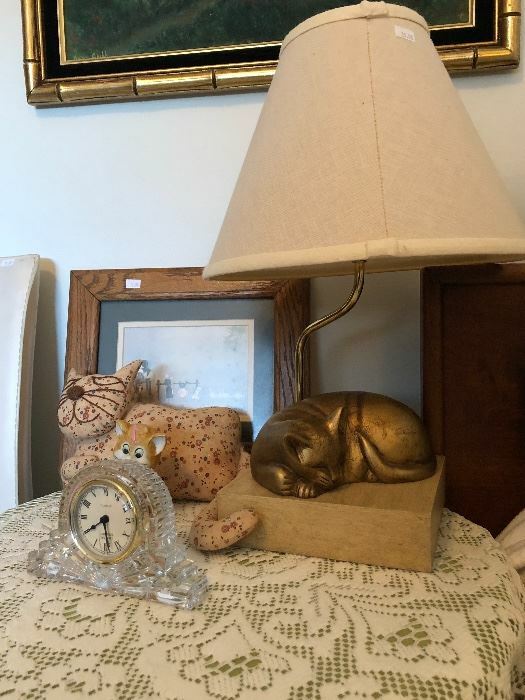 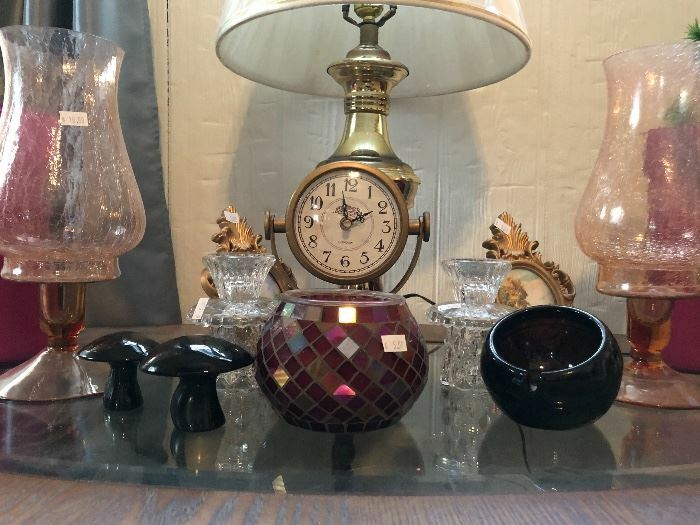 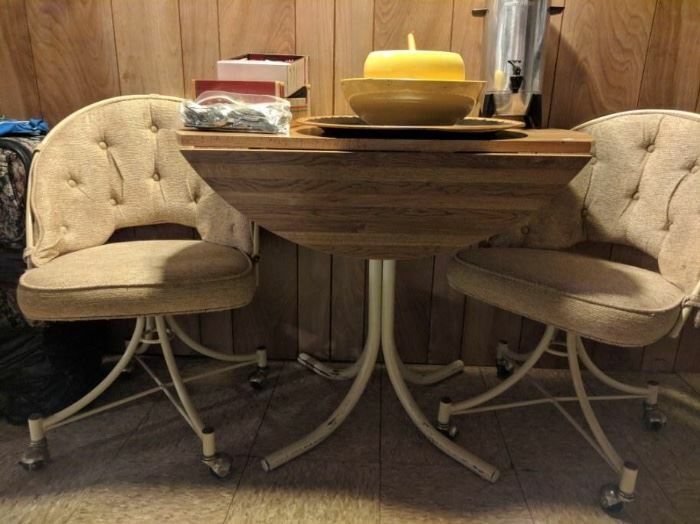 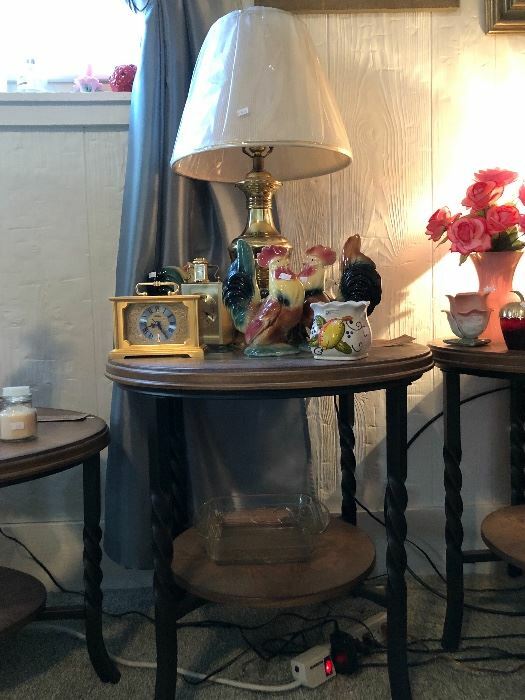 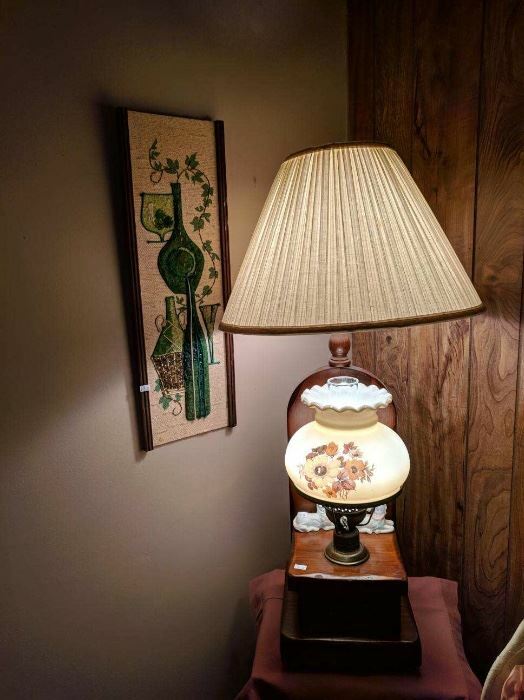 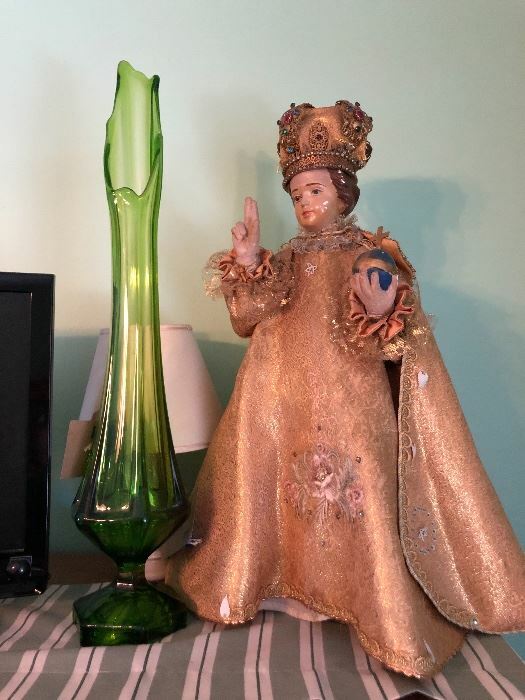 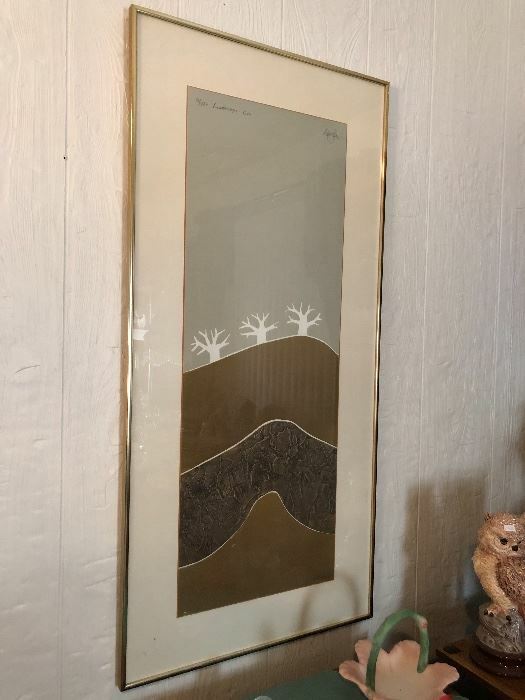 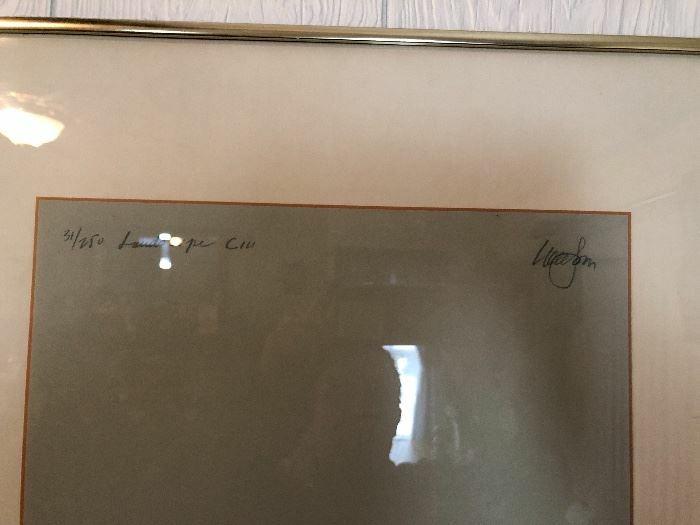 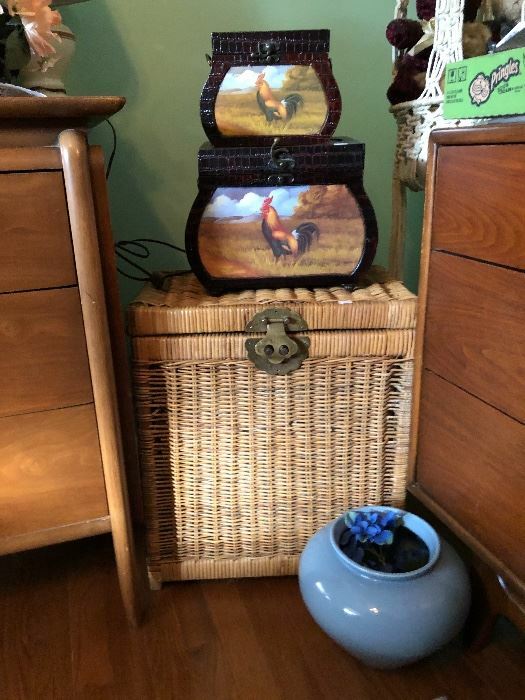 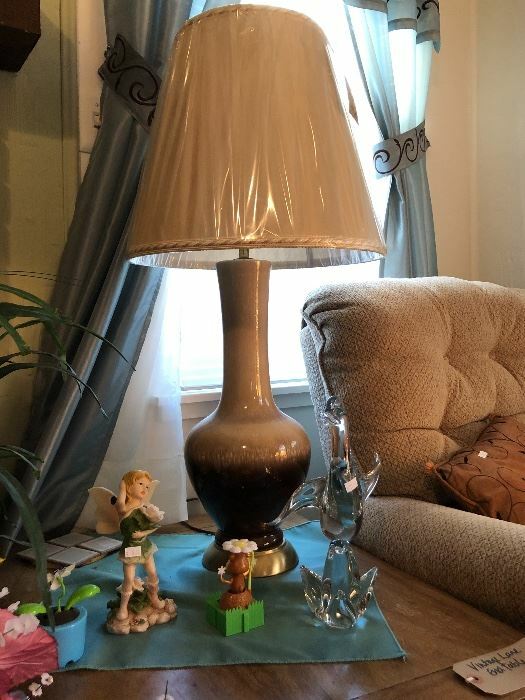 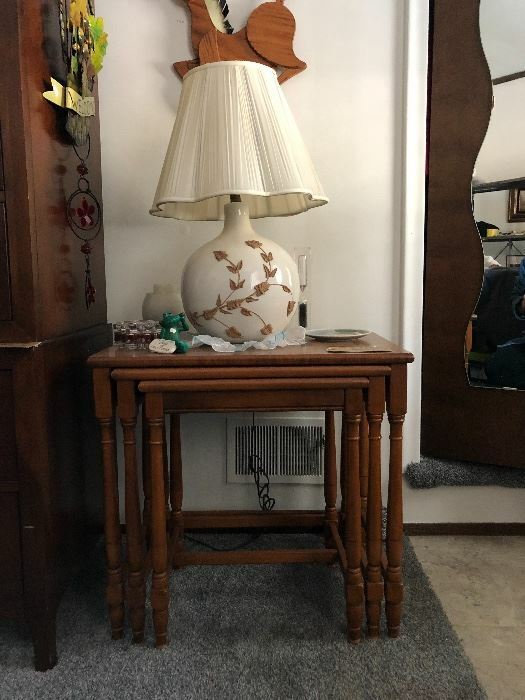 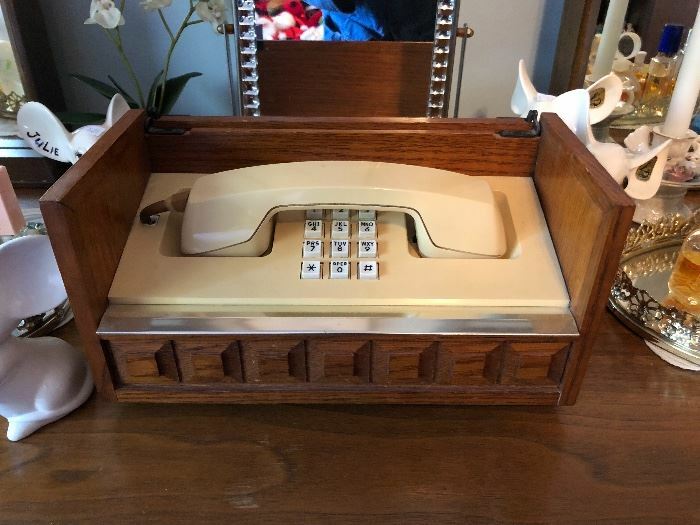 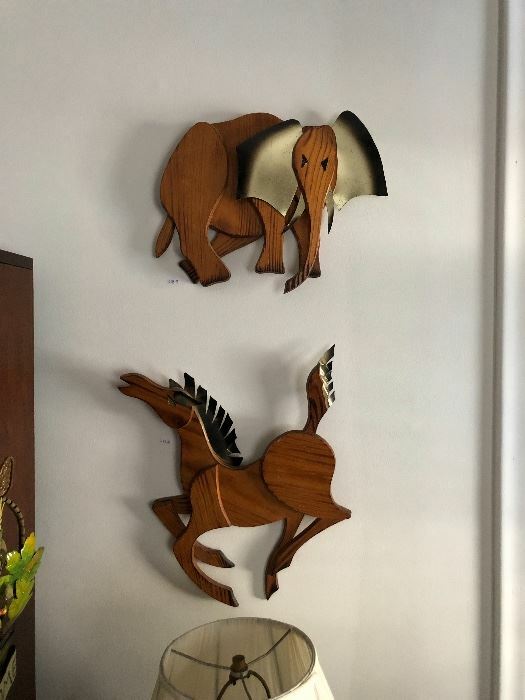 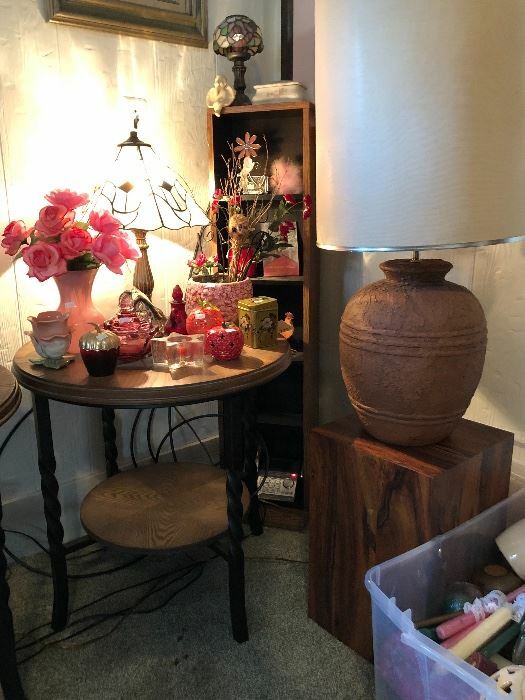 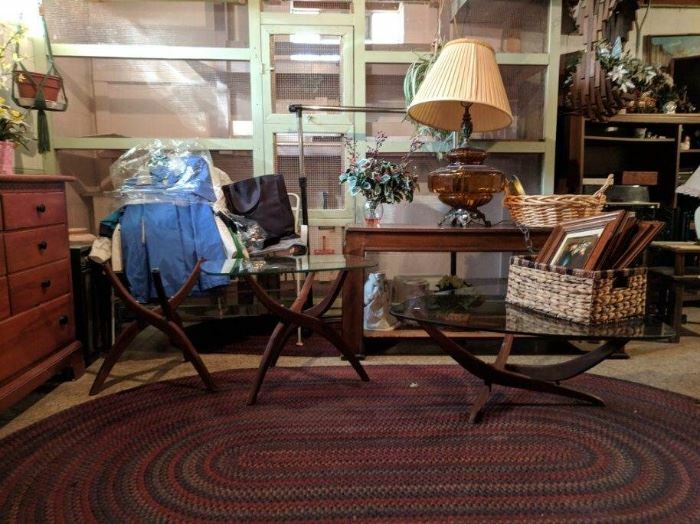 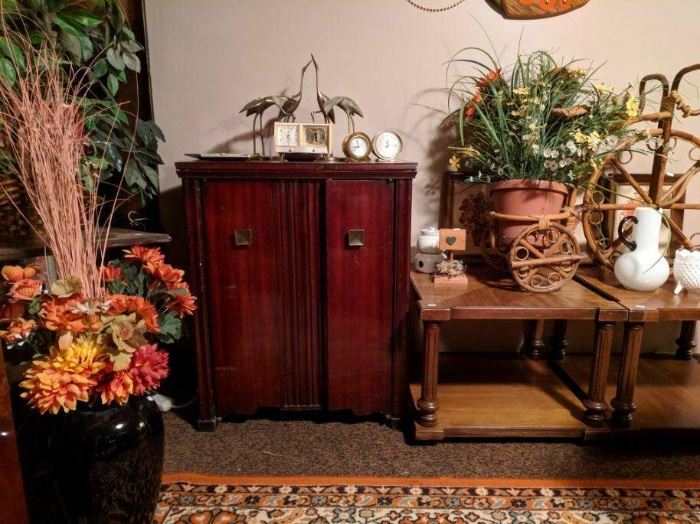 Pair of MCM Secretary Desks, Vintage Lane End Tables, Polaroid SX-70 Camera, Viking Glass Mushrooms, Viking Vase, Mid Century Pottery and Glass, Vintage Desk Clocks, Vintage Table Lamps, Silk Screen Artwork, Gateleg Dining Table w/ Built In Chair Storage, and more! 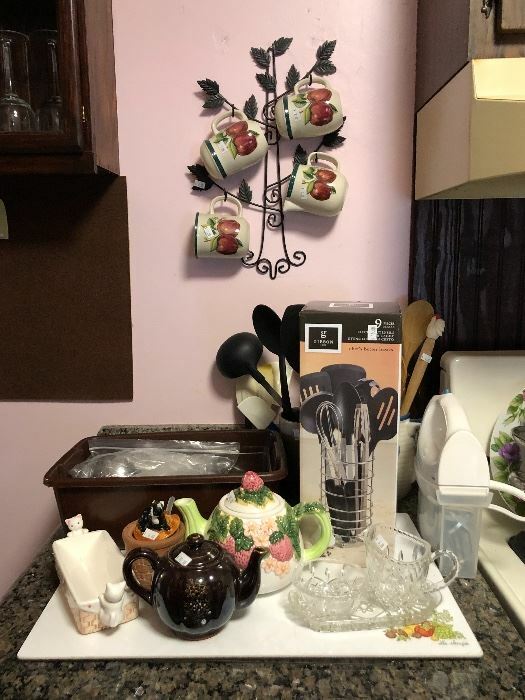 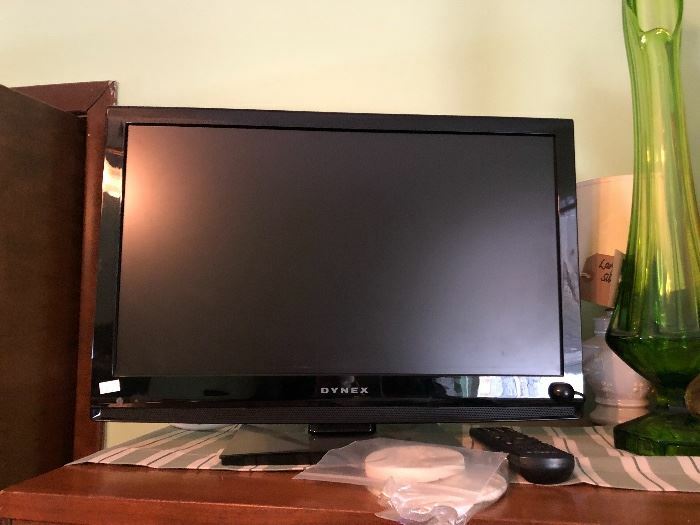 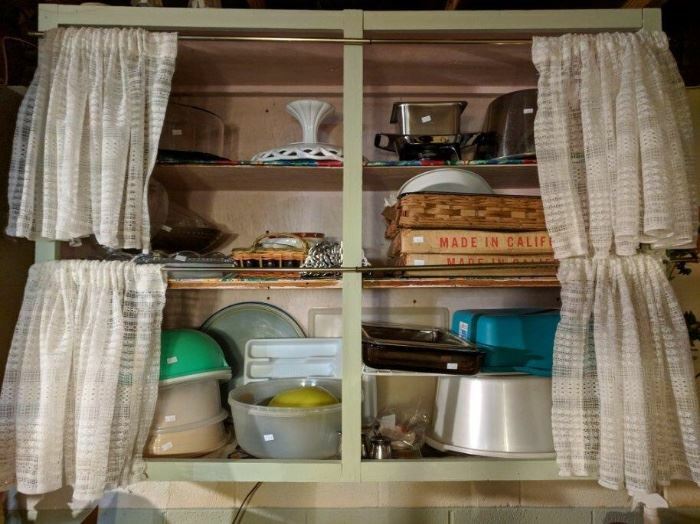 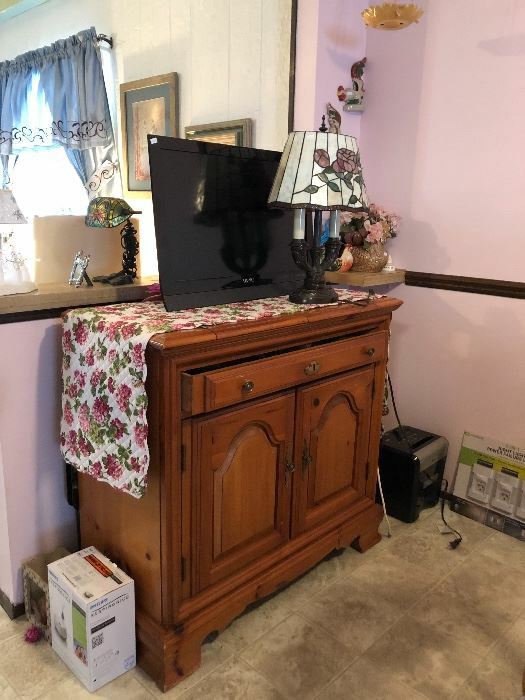 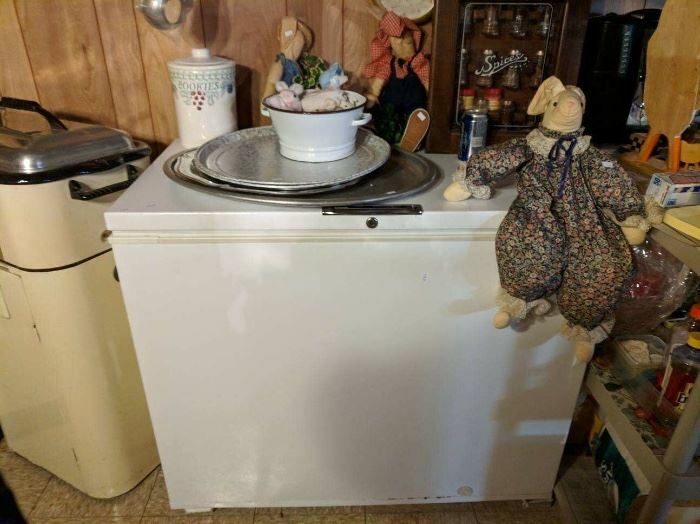 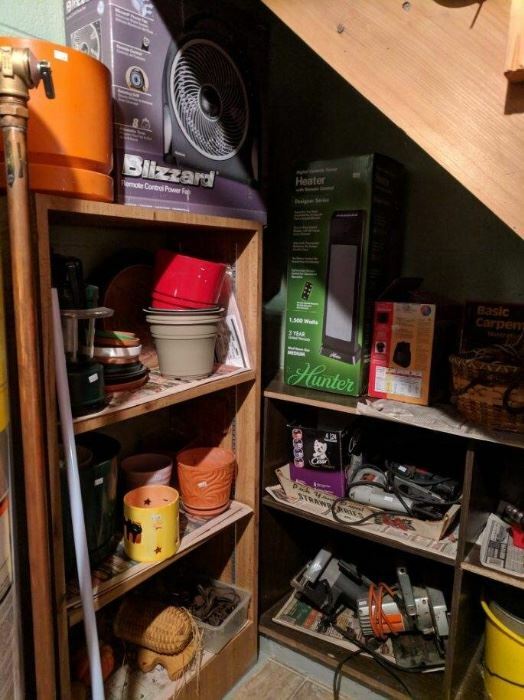 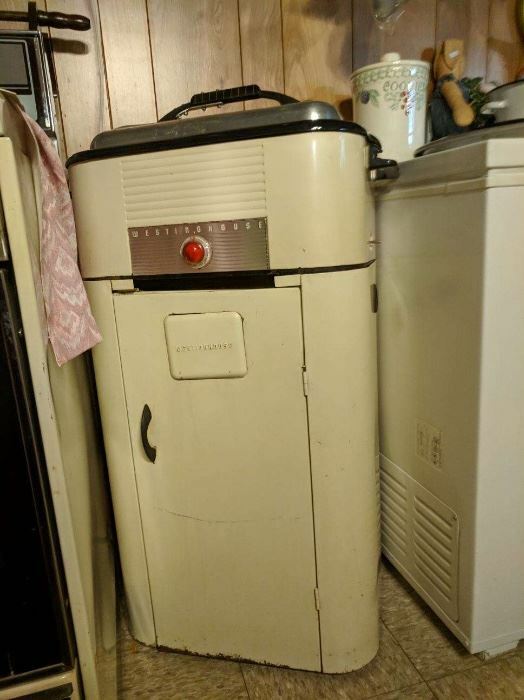 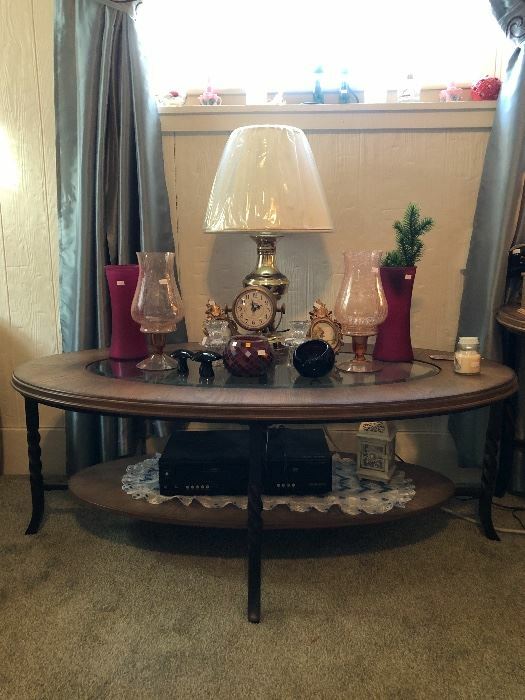 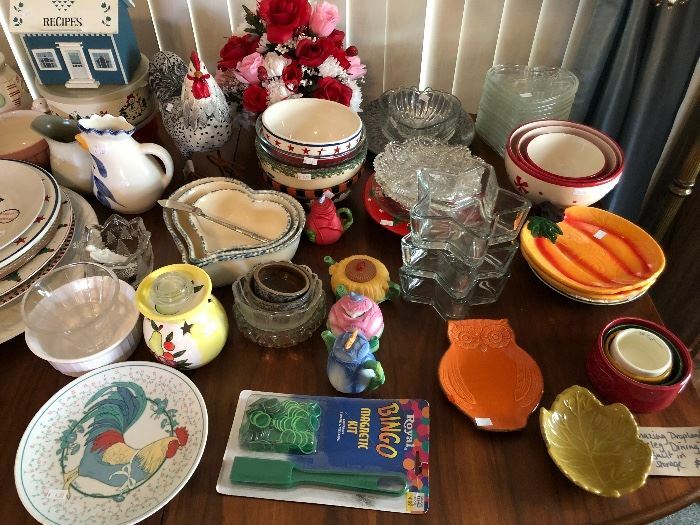 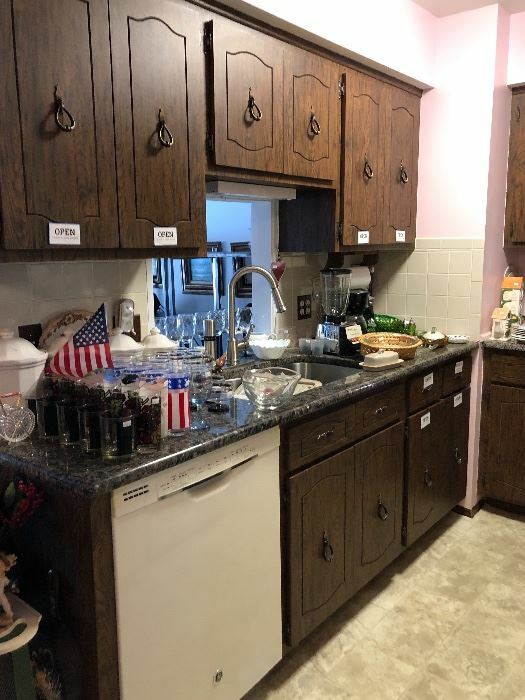 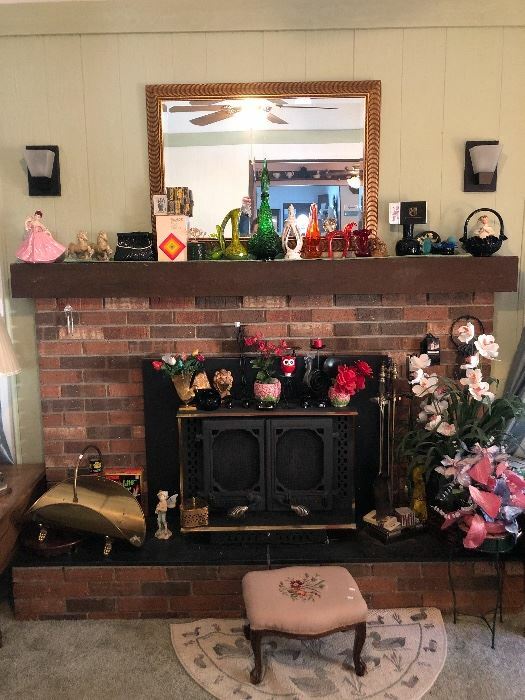 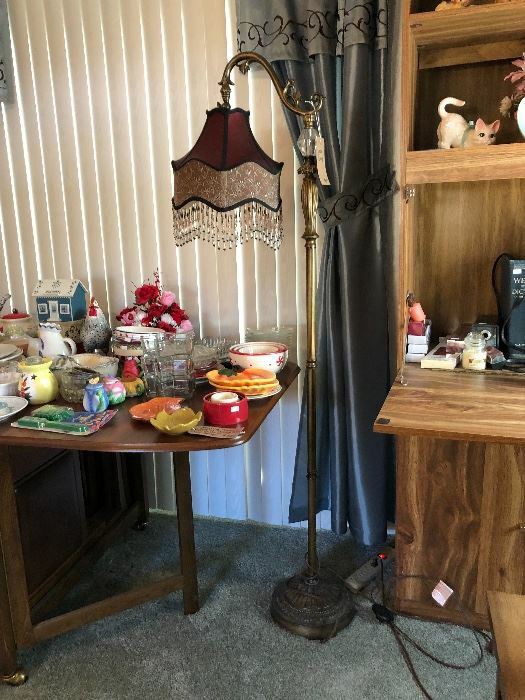 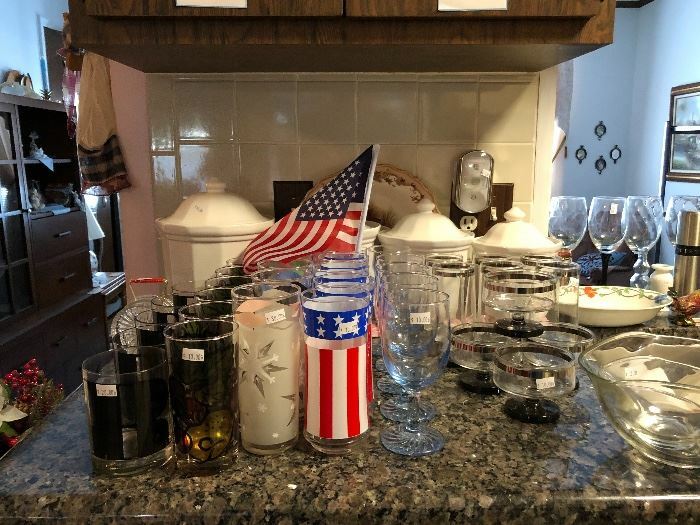 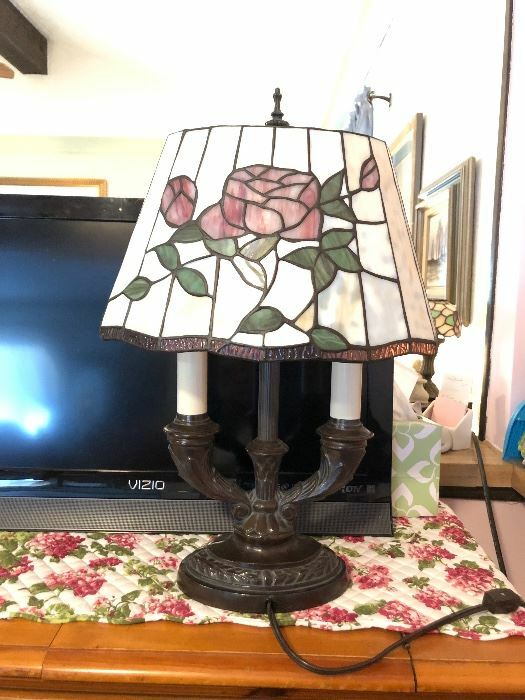 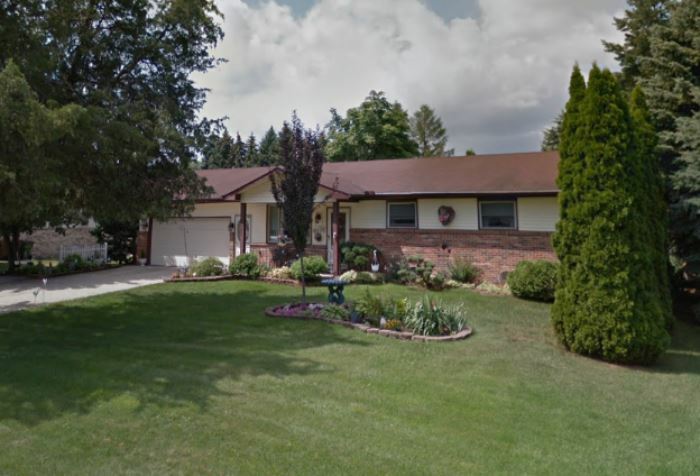 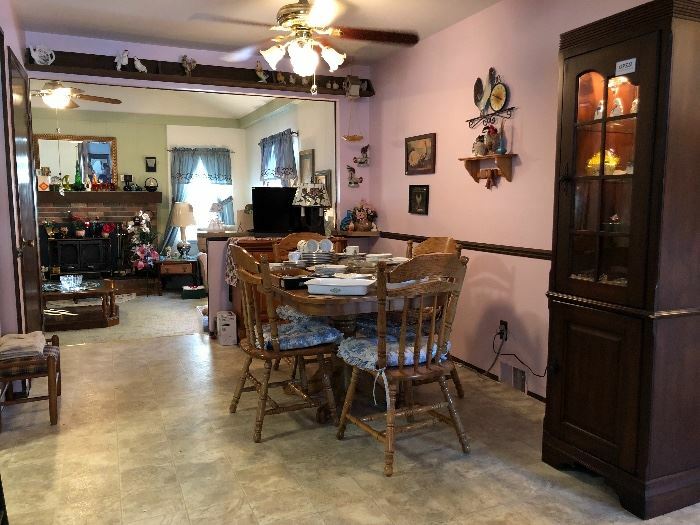 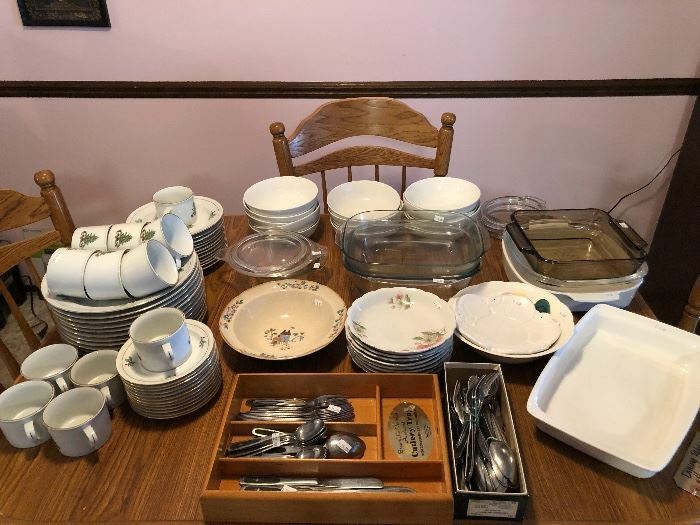 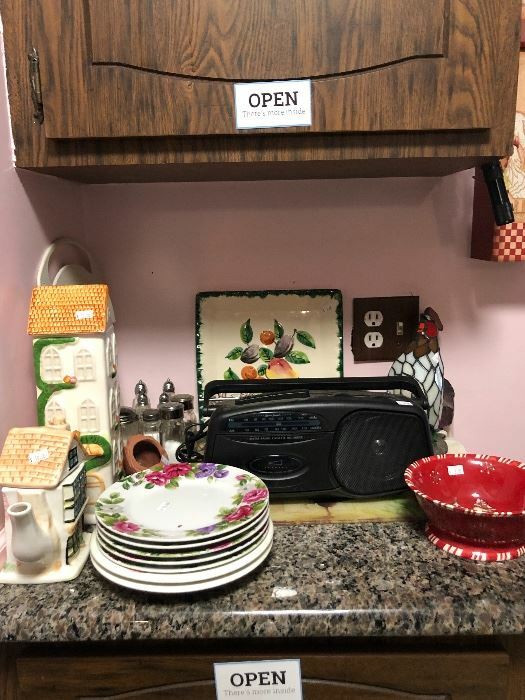 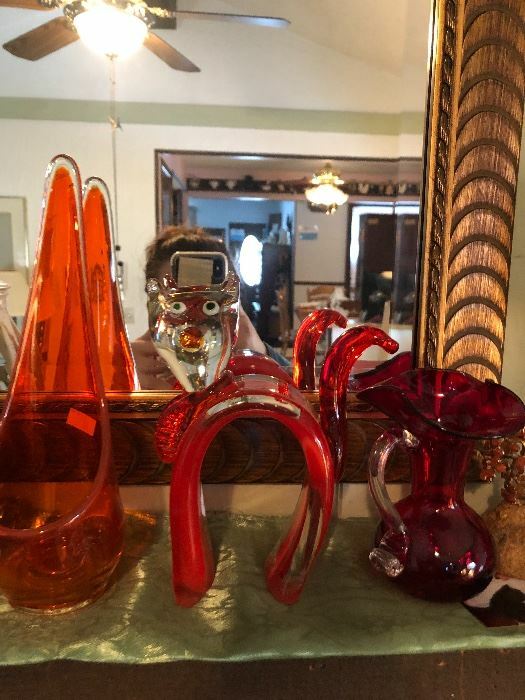 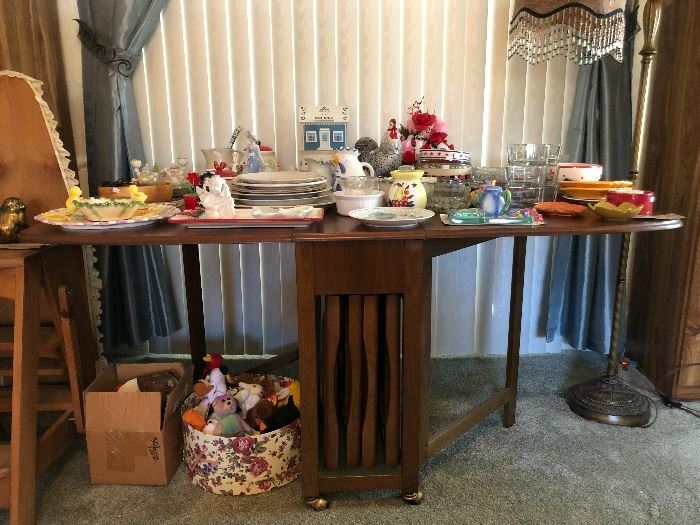 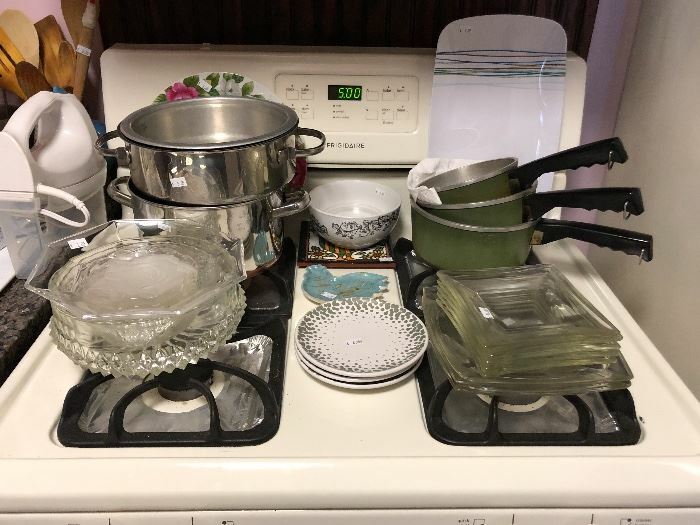 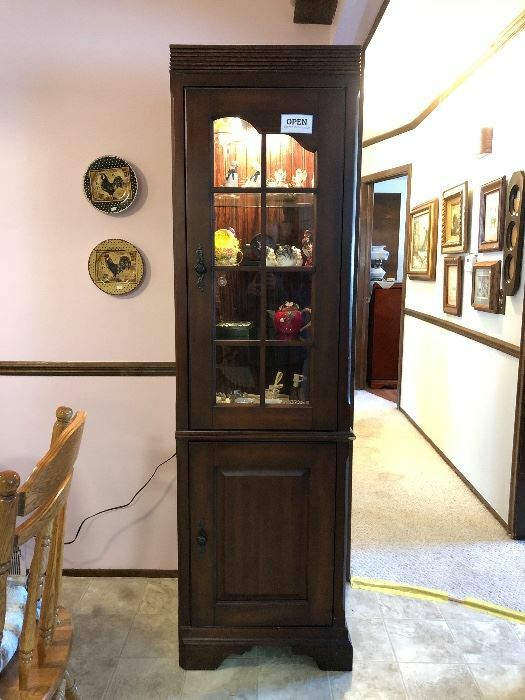 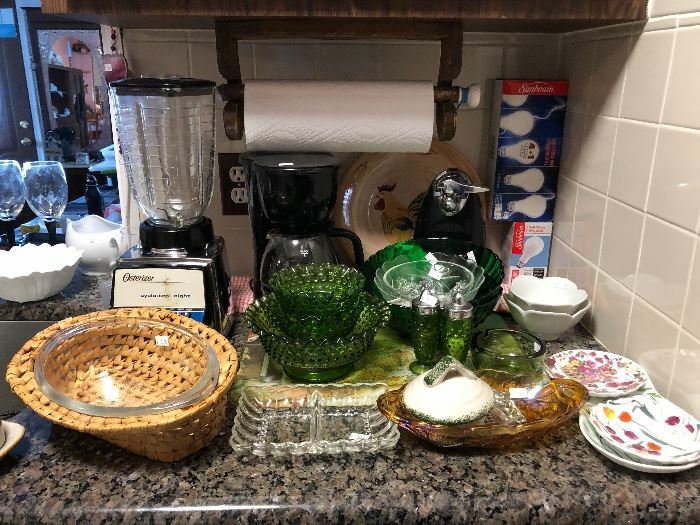 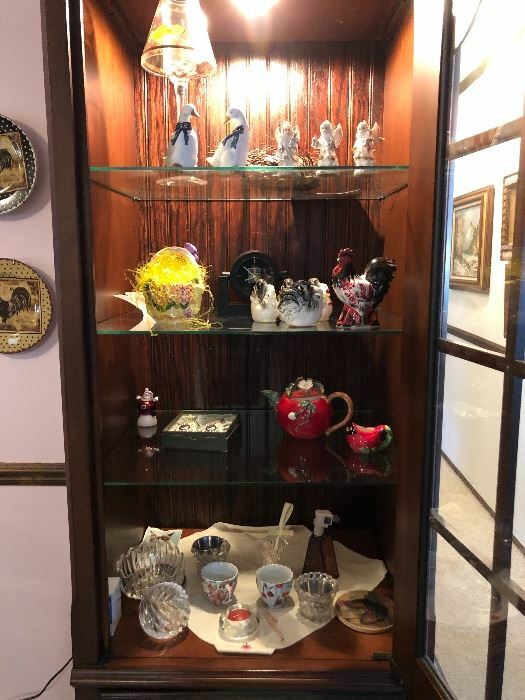 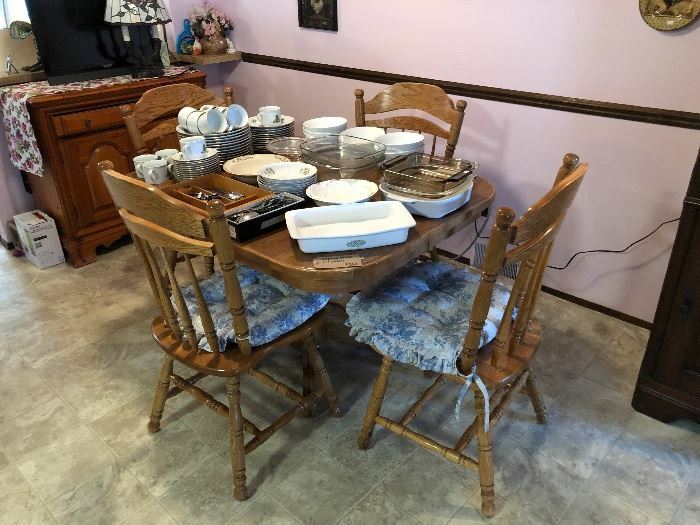 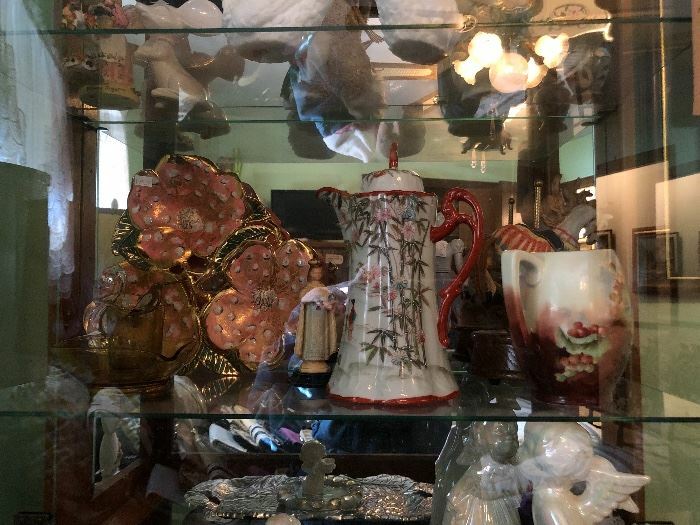 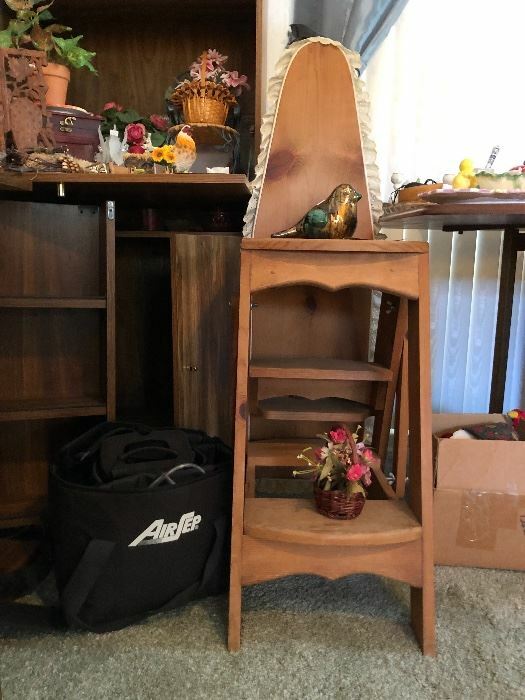 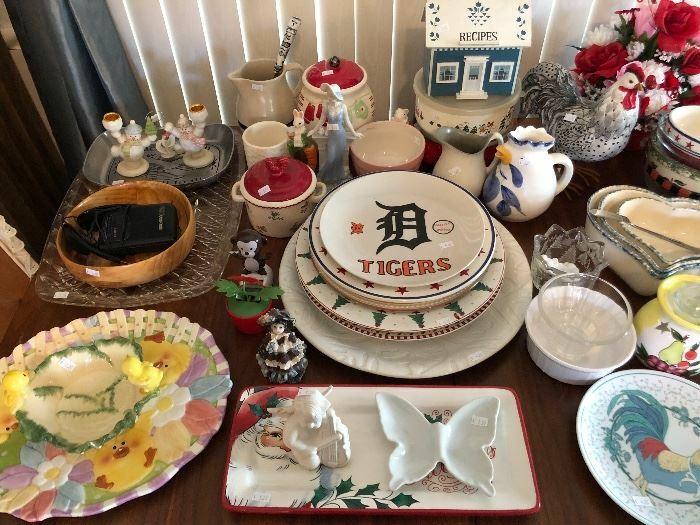 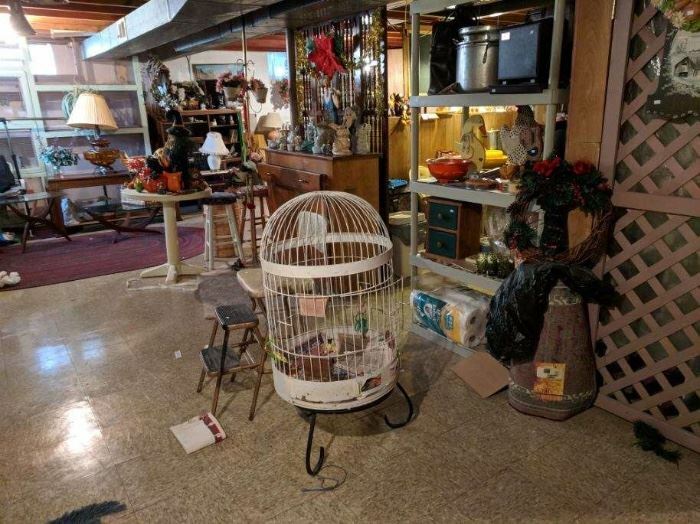 Vintage Osterizer Blender, Cookware and Dishes, Club Cookware, Vintage Glassware, Fenton Glass, Corning Ware, Dining Table w/ 4 Chairs, Pine Buffet, Pier 1 Dishes, and More. 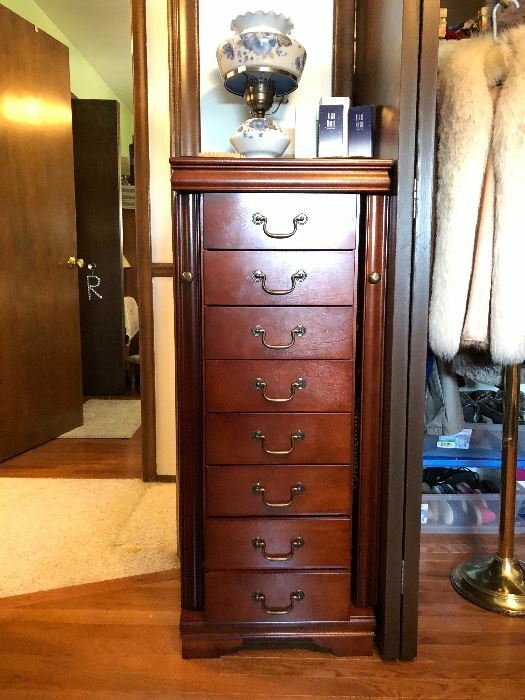 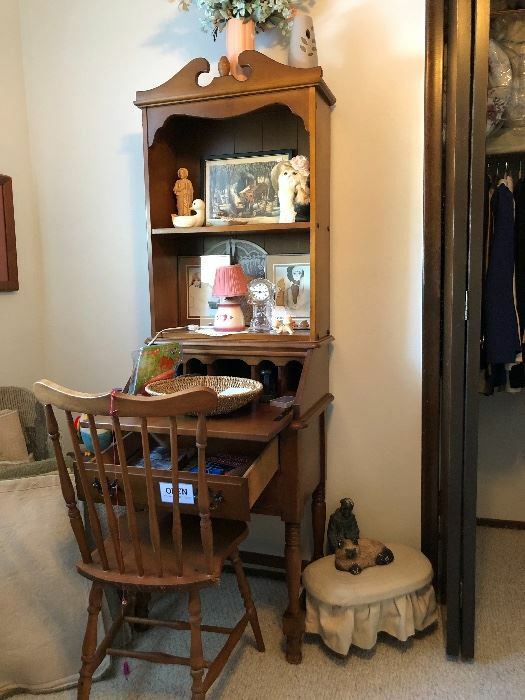 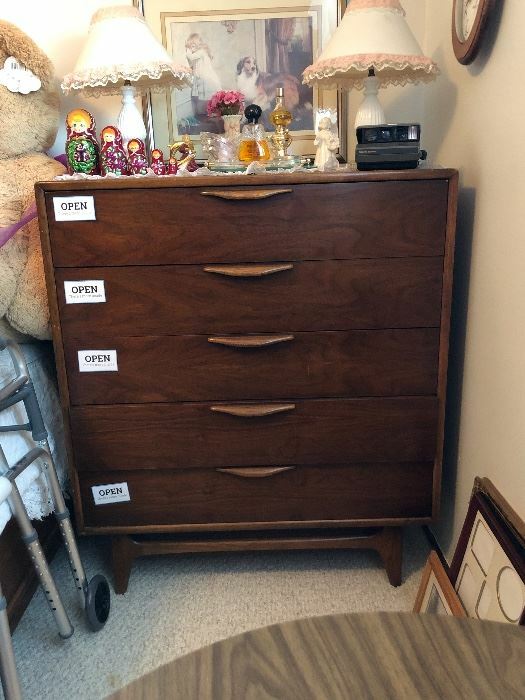 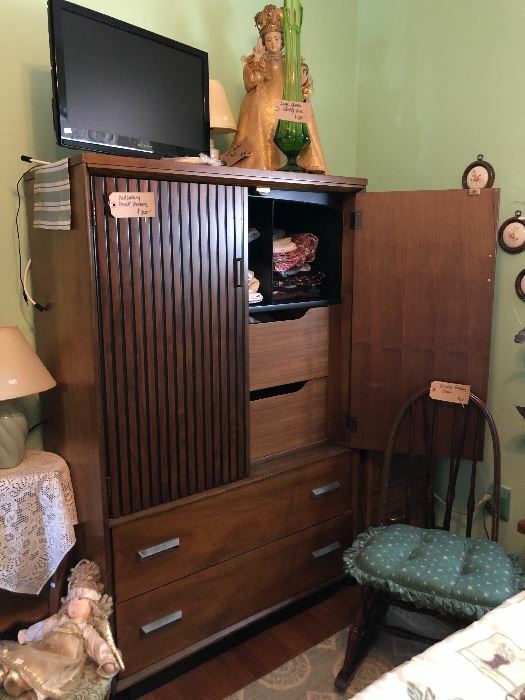 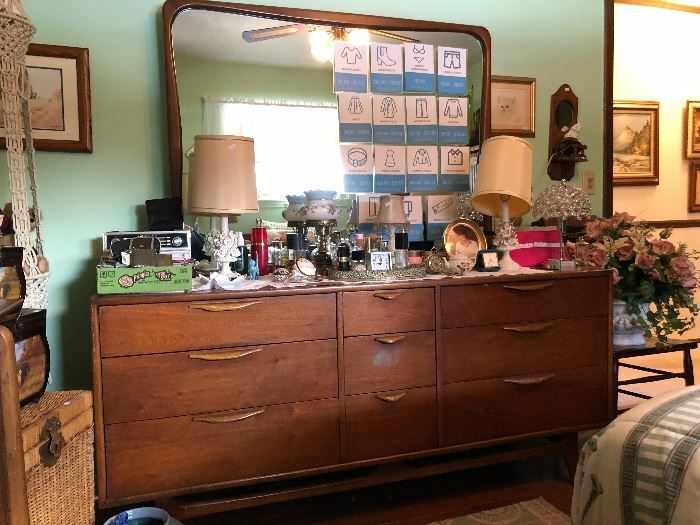 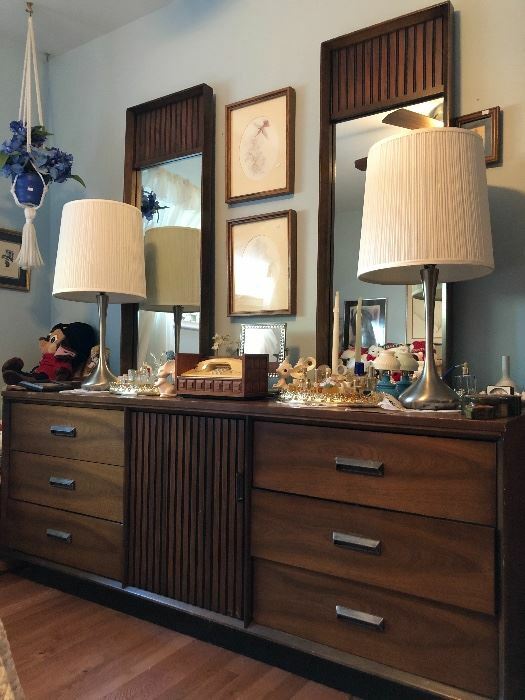 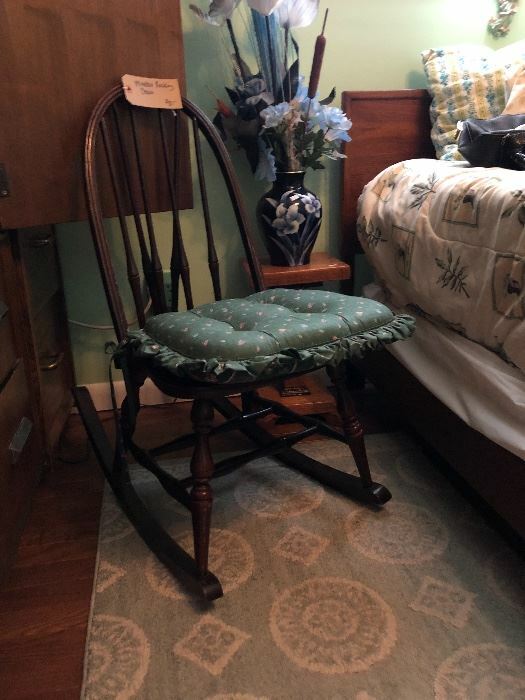 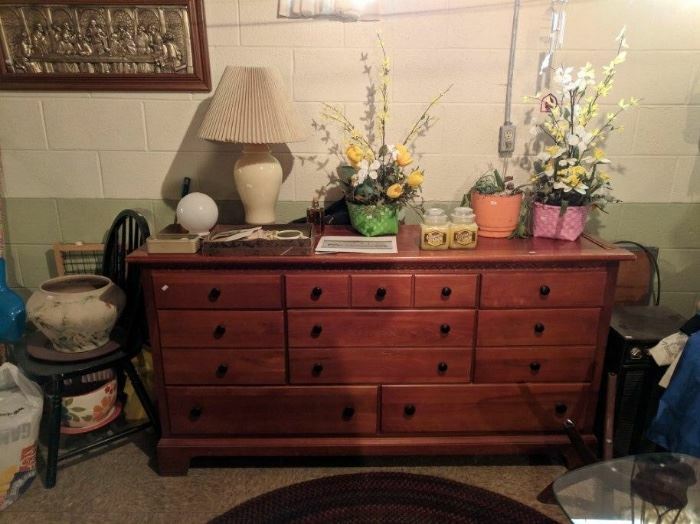 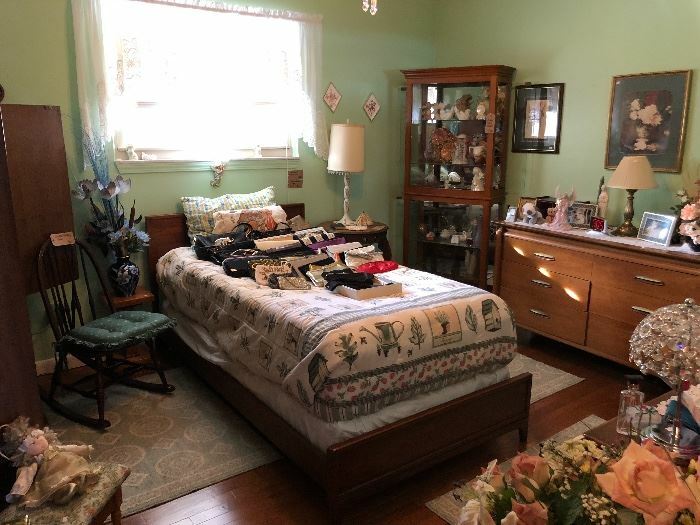 Twin Bed, Mid Century Modern Robinson Dresser, Colonial Secretary Desk & Chair, 2-Tier Mid Century Modern Coffee Table, Vintage Women's Clothes, and more. 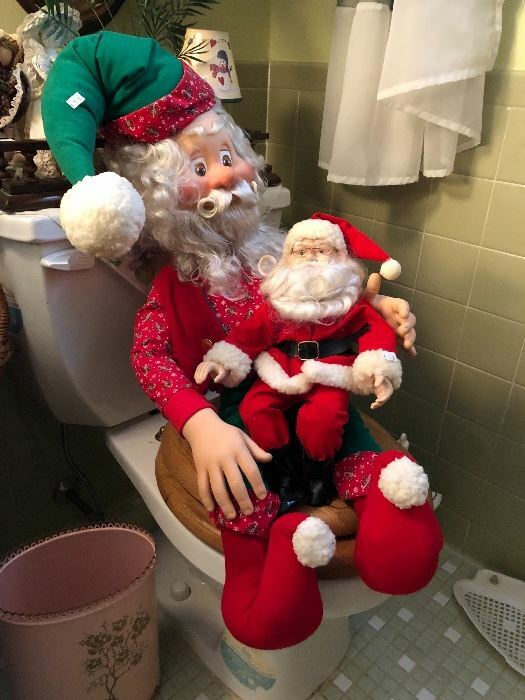 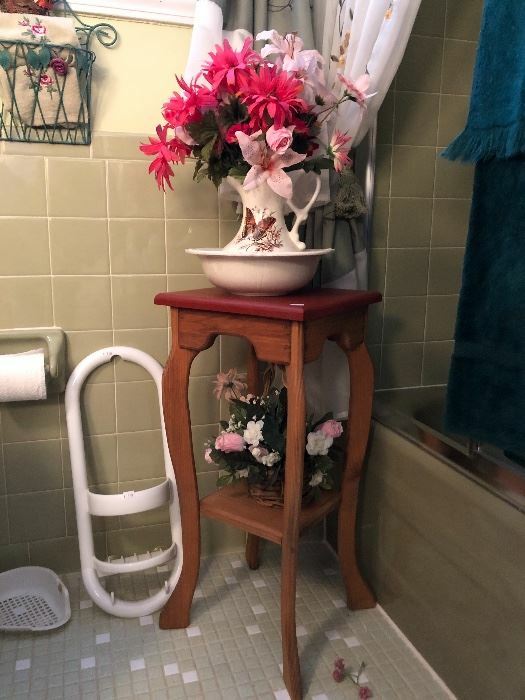 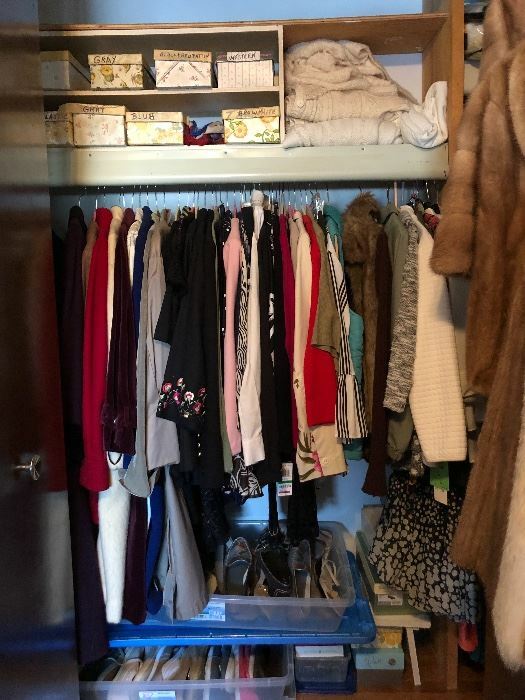 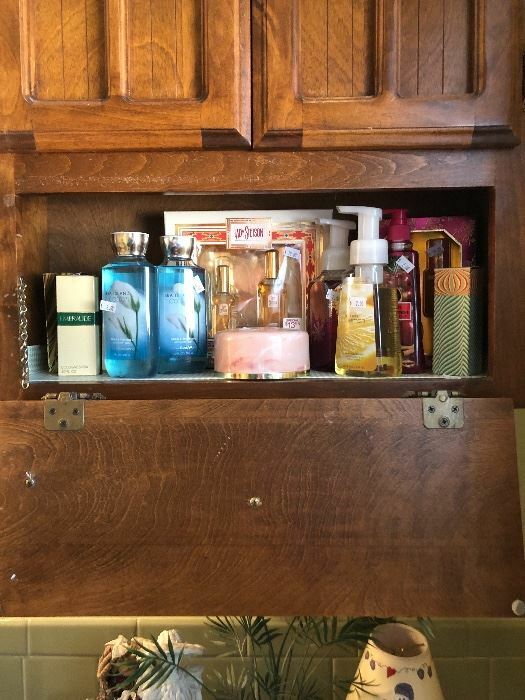 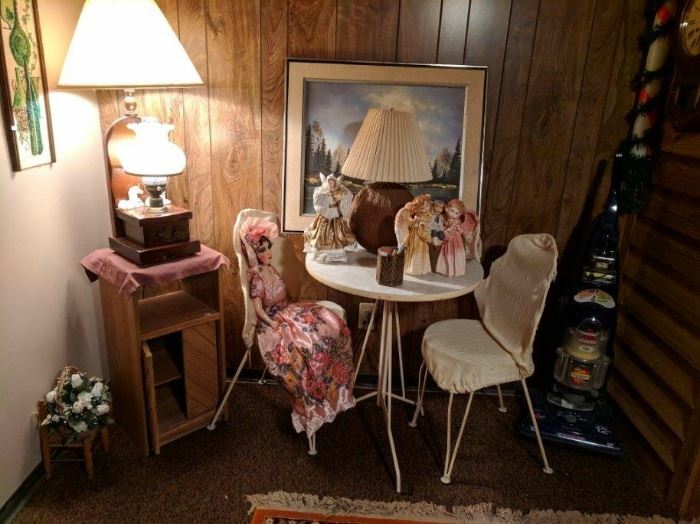 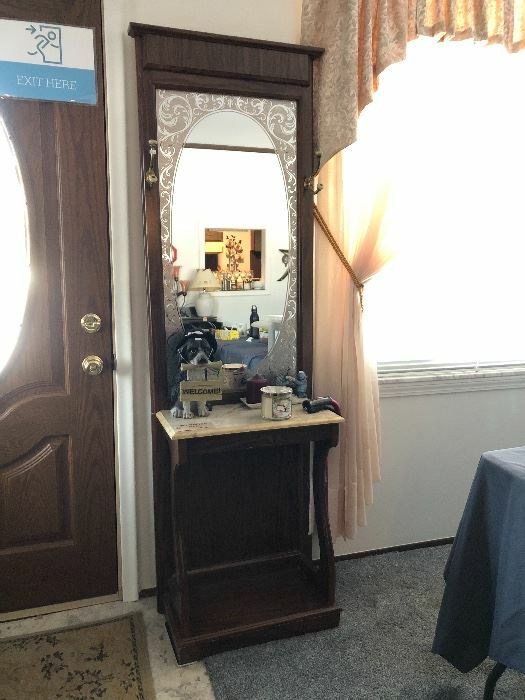 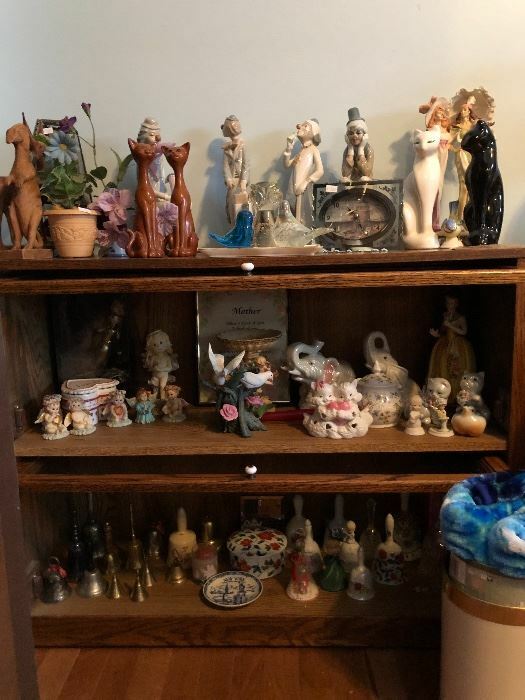 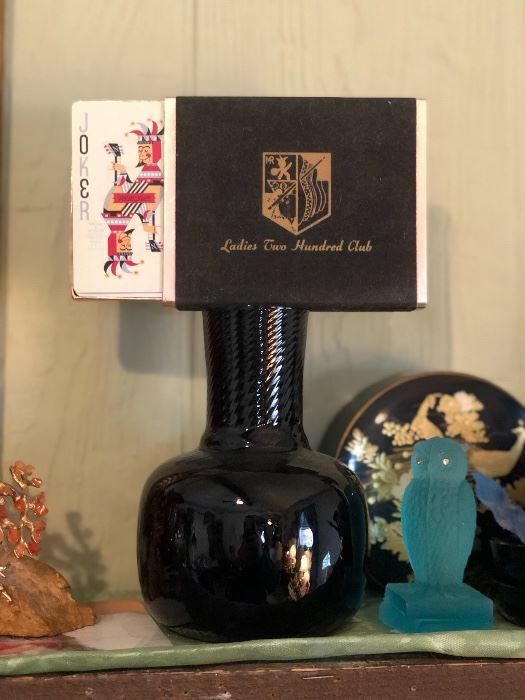 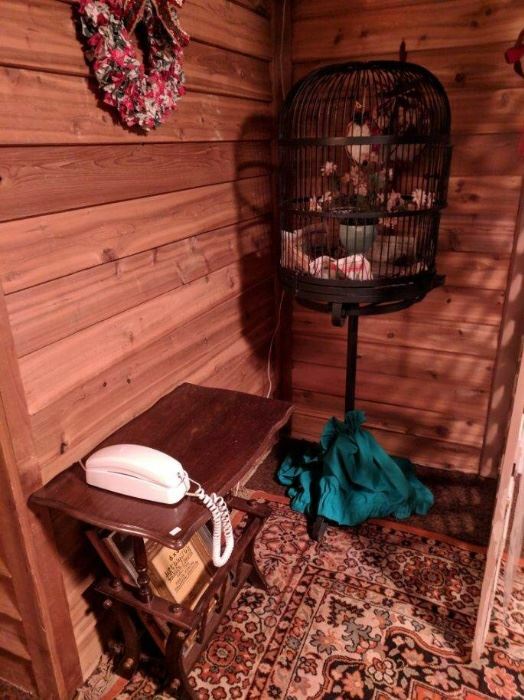 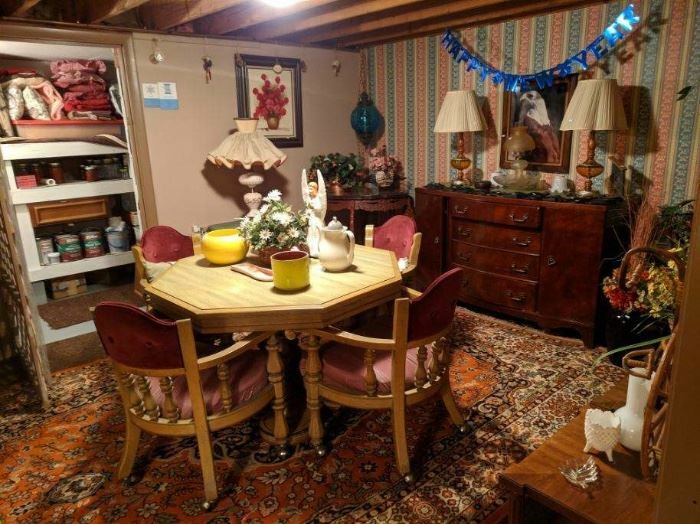 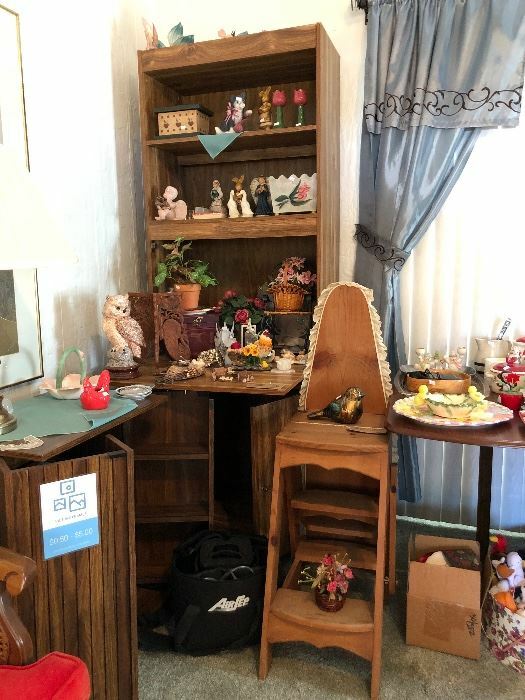 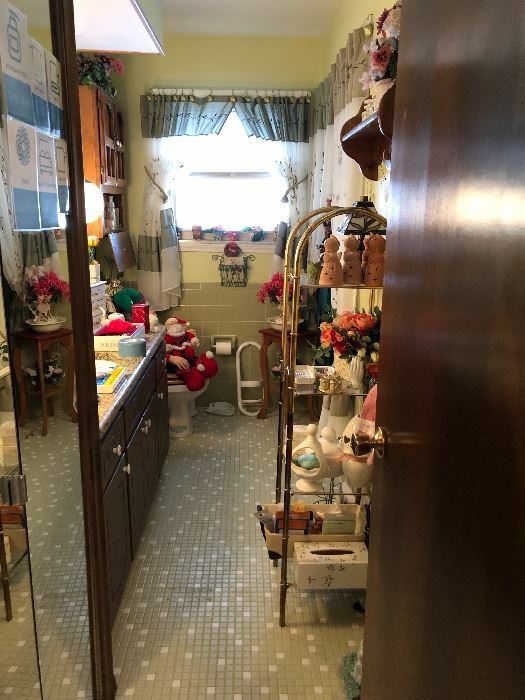 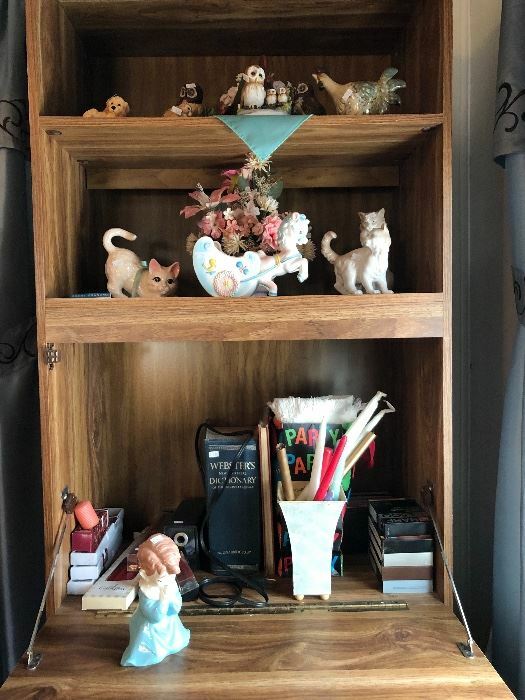 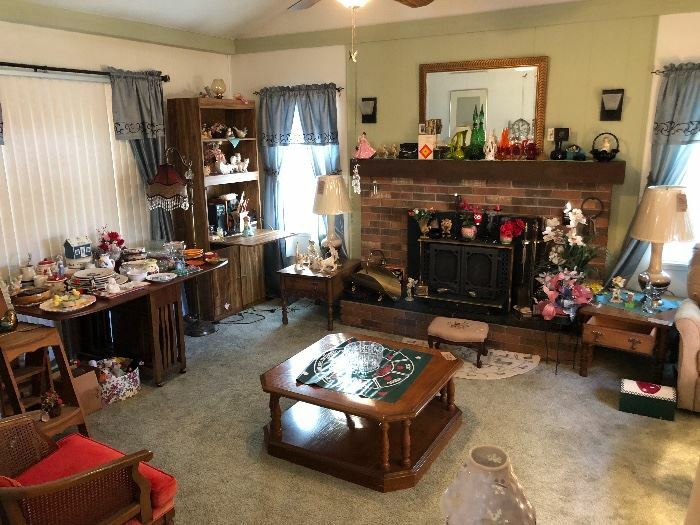 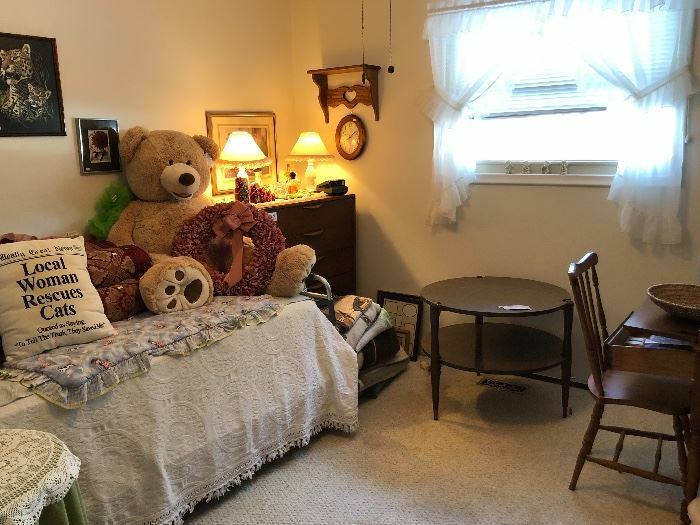 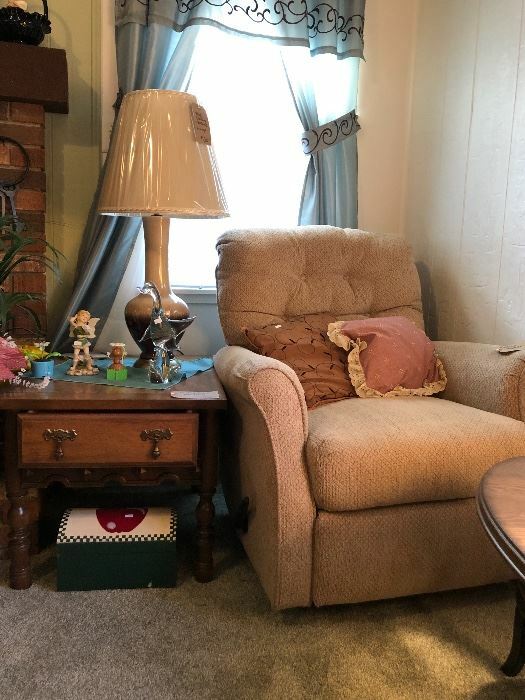 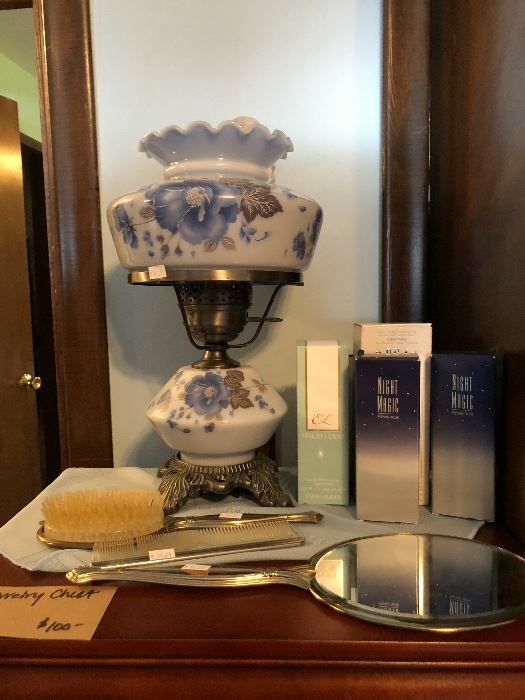 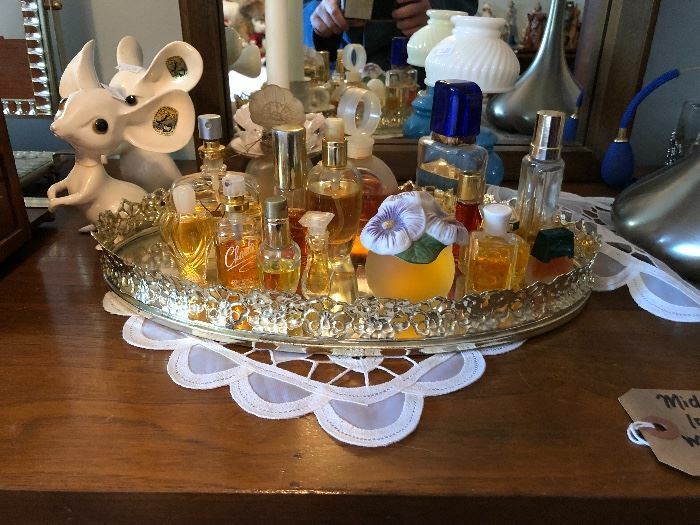 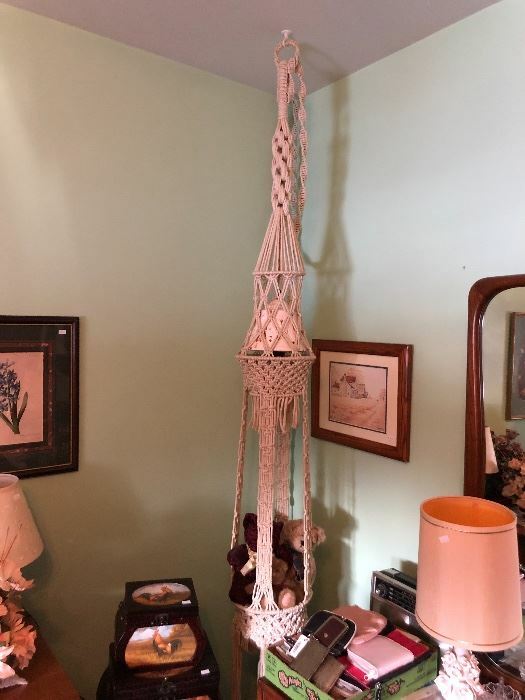 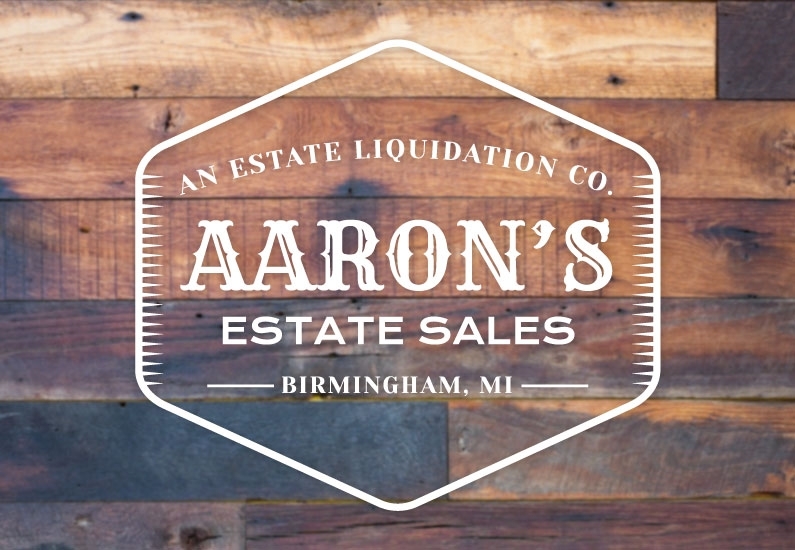 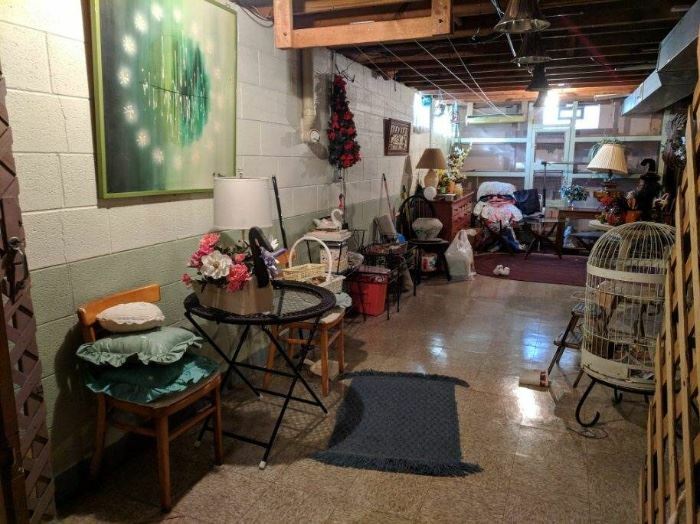 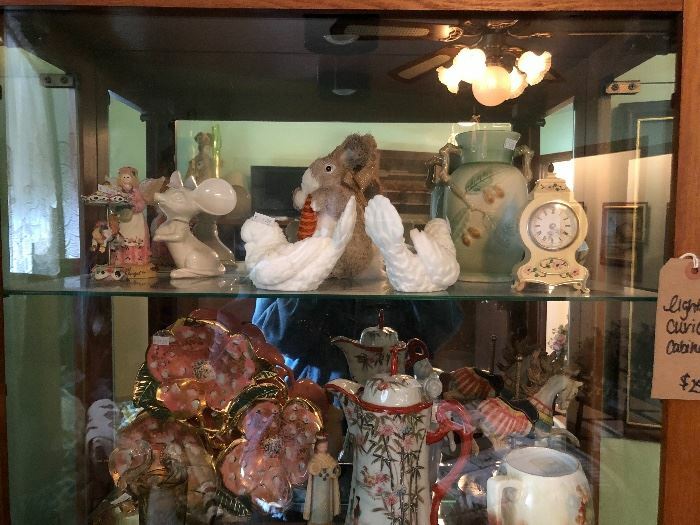 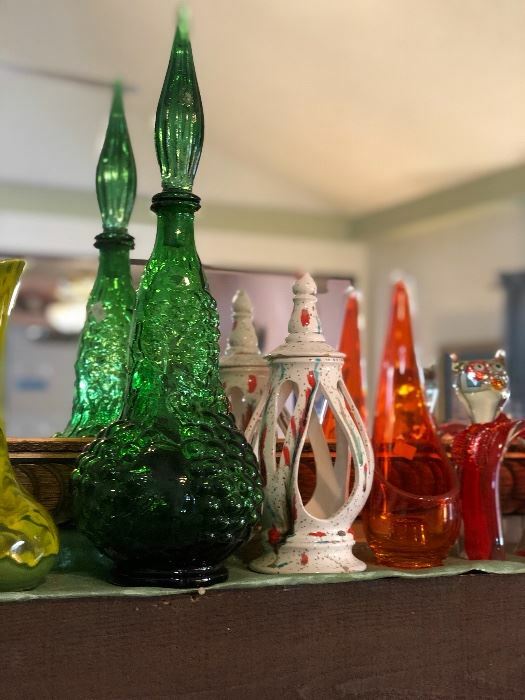 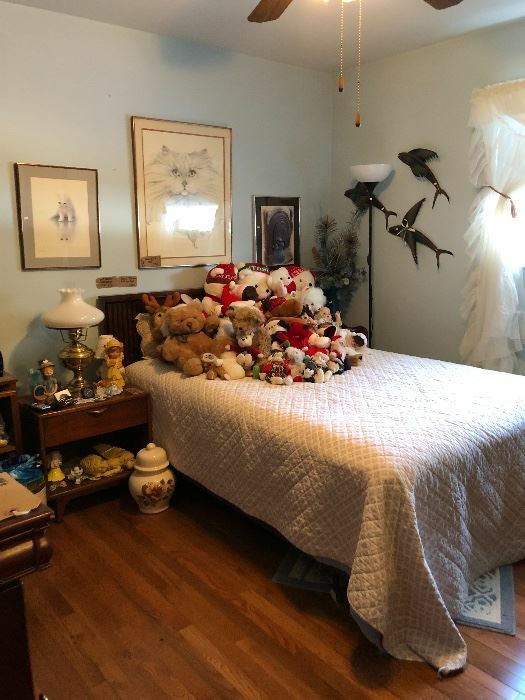 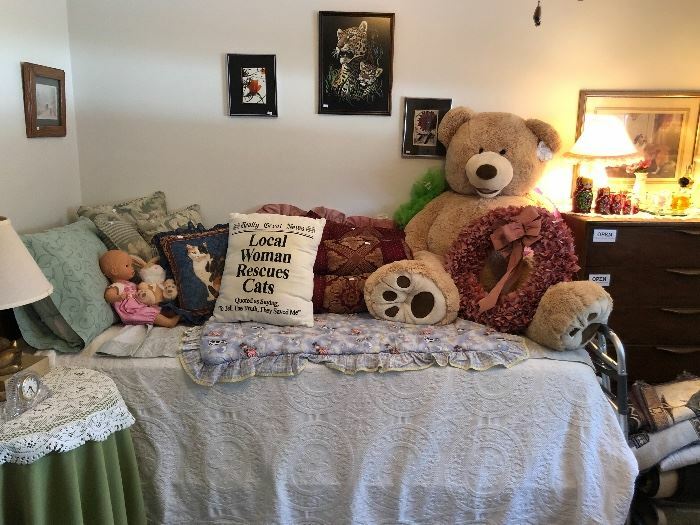 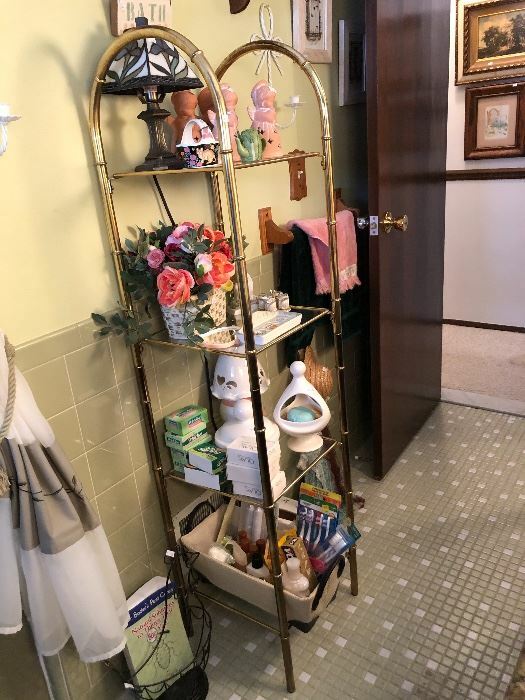 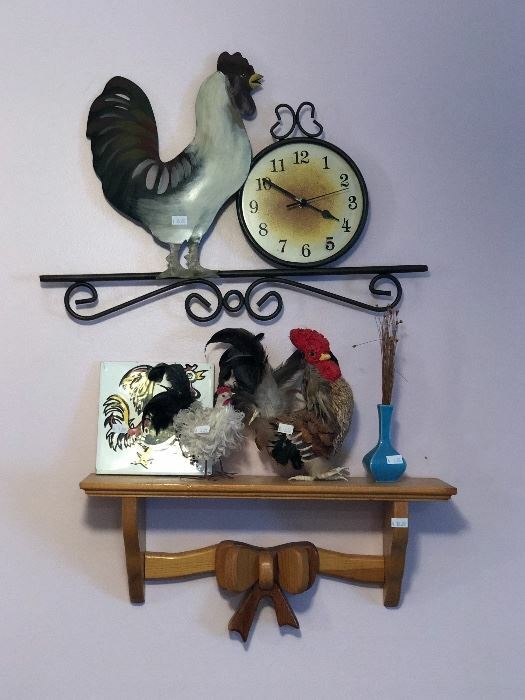 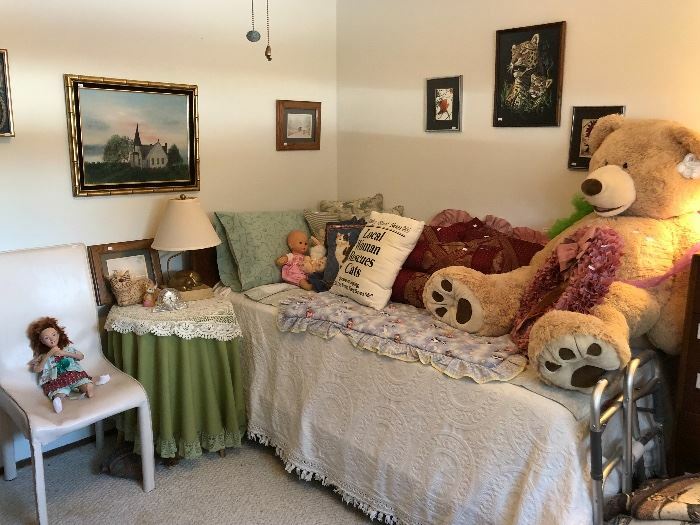 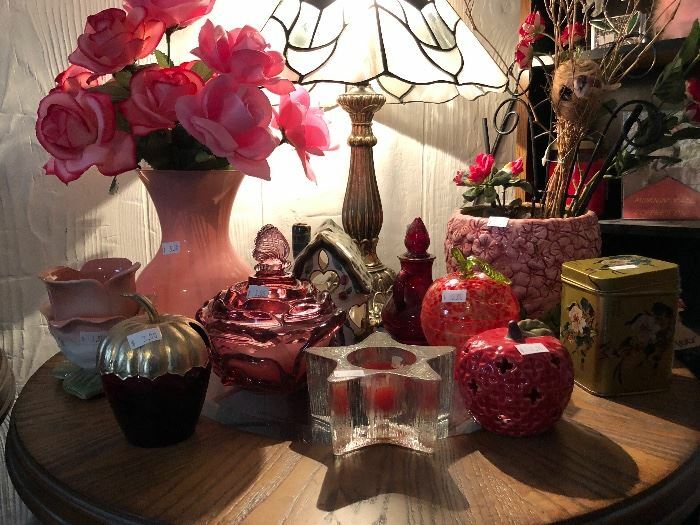 Bathroom: Assorted Vintage Perfume, Brass Decorative Shelving Unit, Toiletries, Towels & Linens, Holiday Decor, Outhouse-Centric Artwork, Wooden Shelves and more. 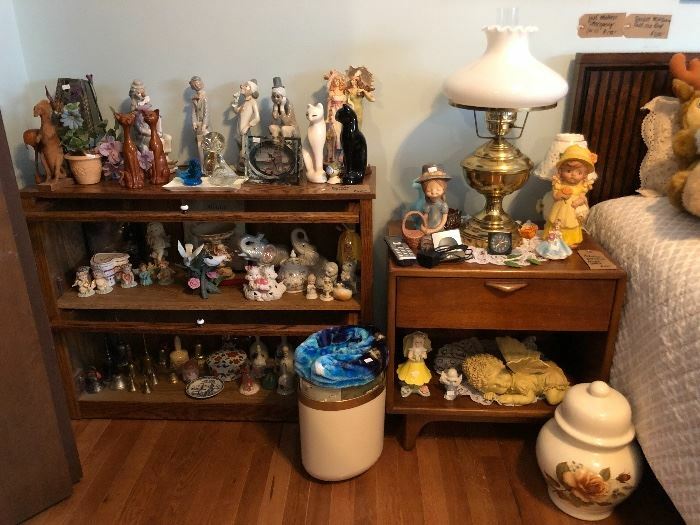 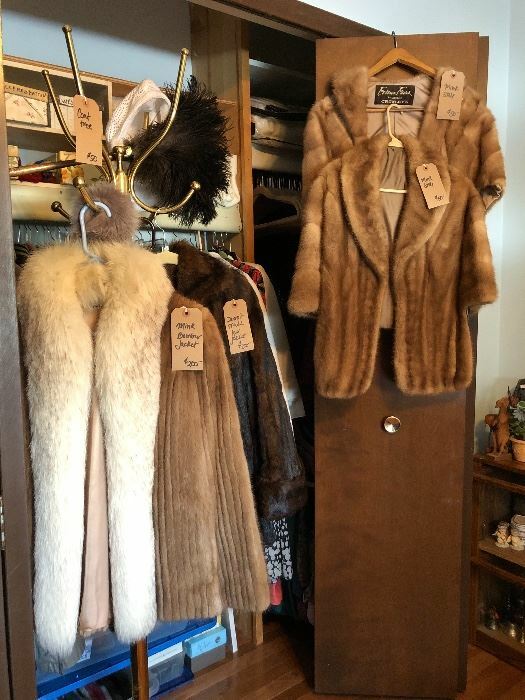 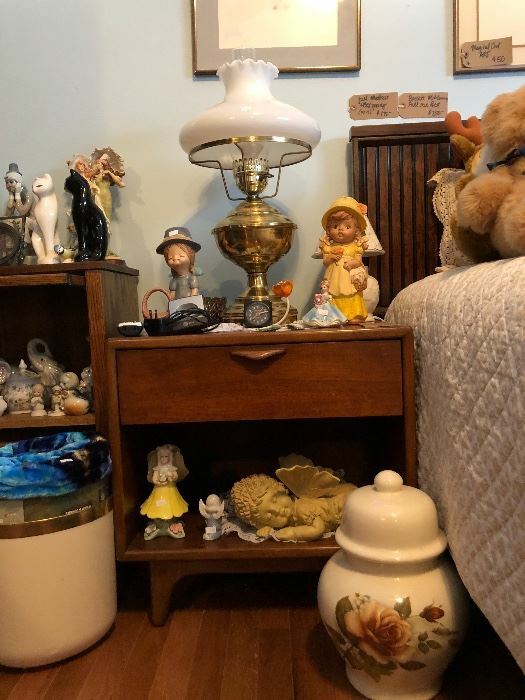 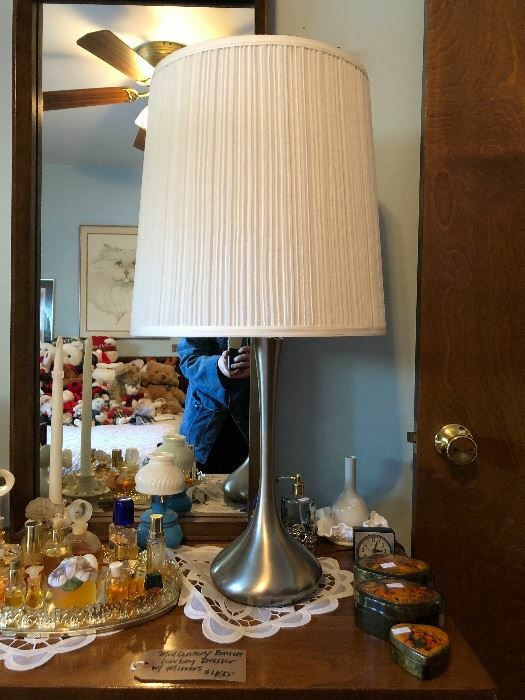 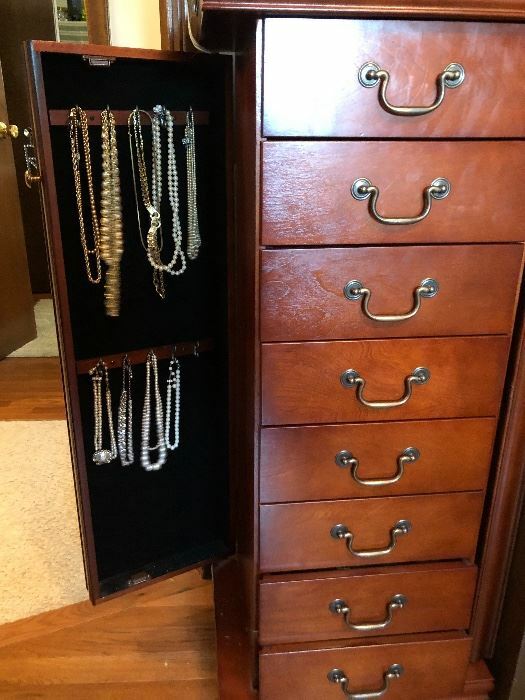 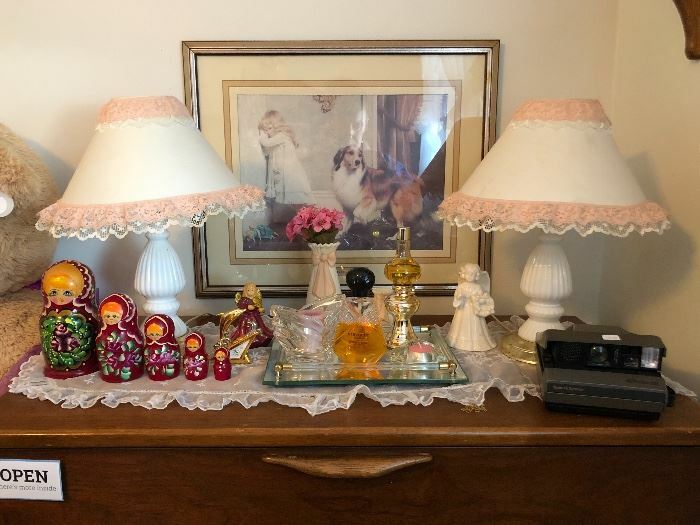 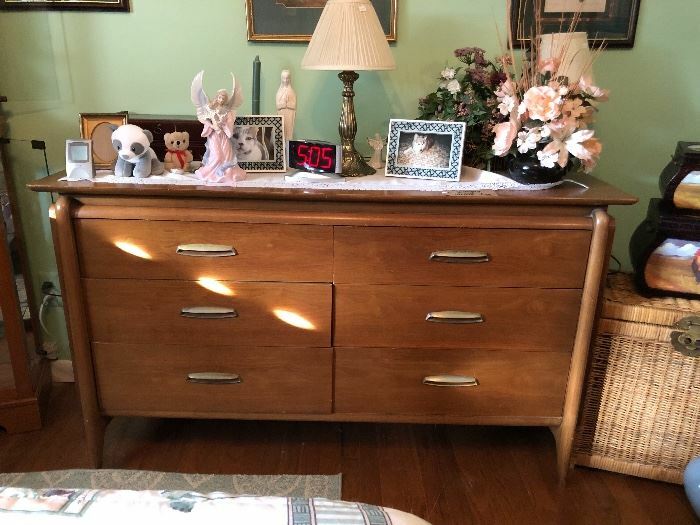 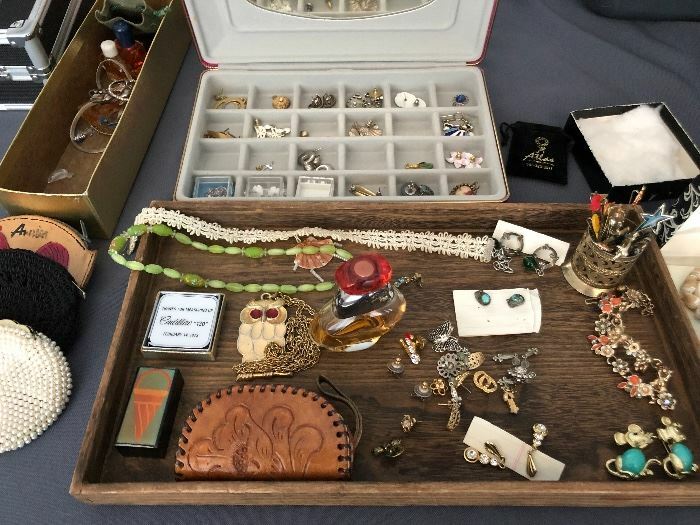 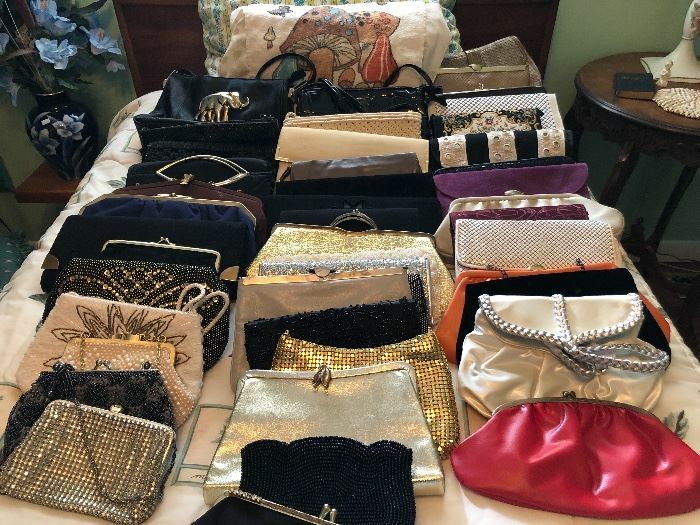 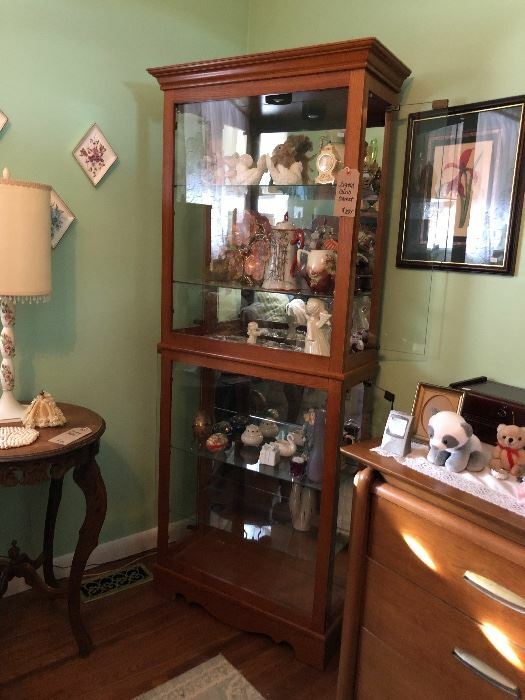 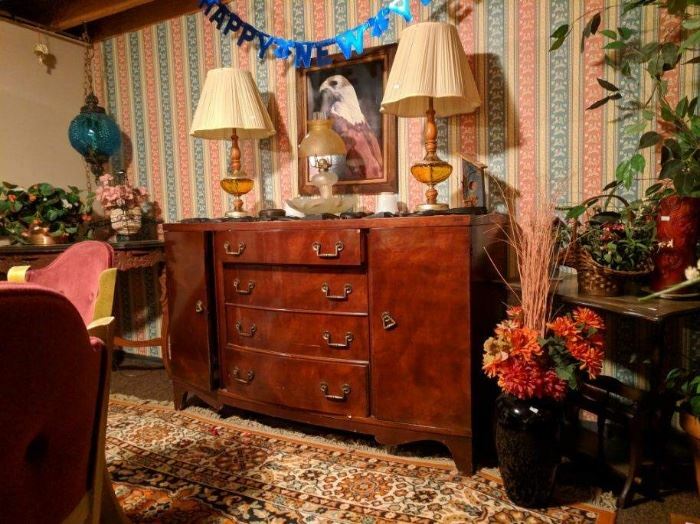 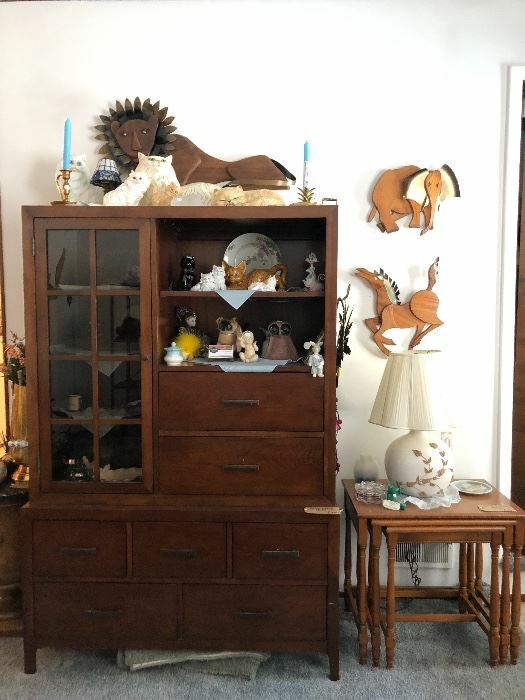 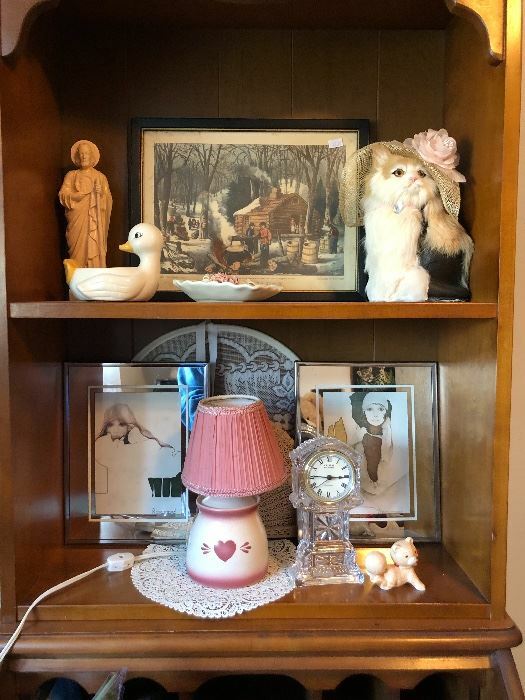 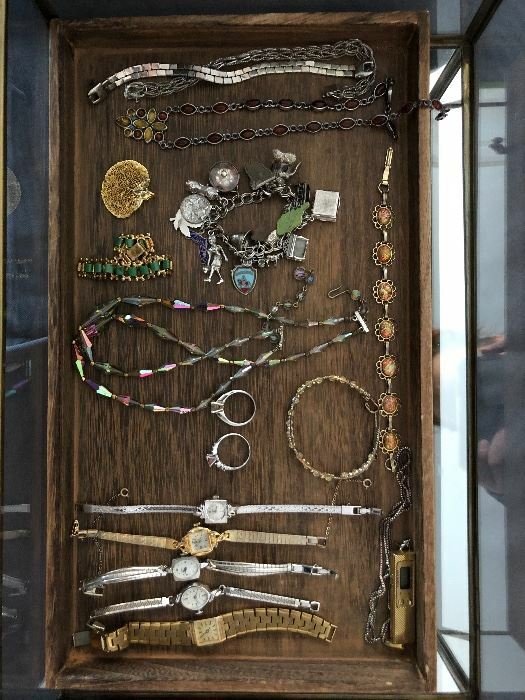 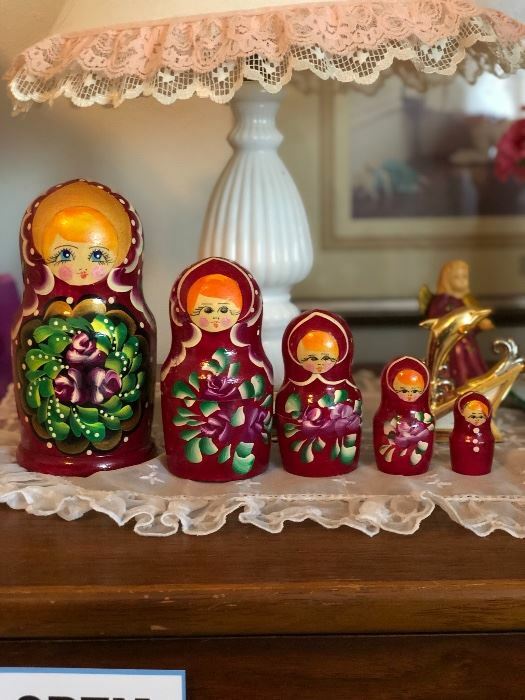 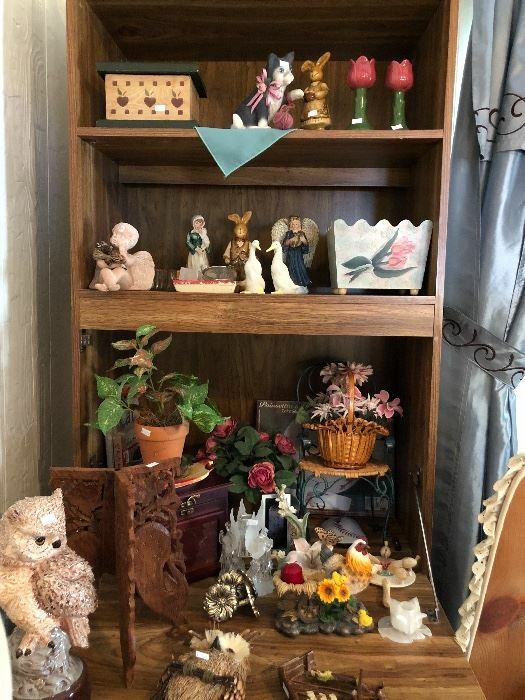 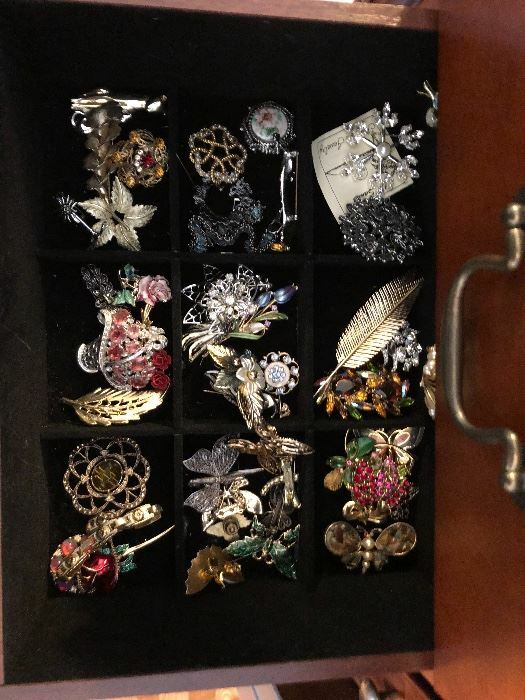 Mid Century Bassett Dresser, Large Jewelry Box Cabinet, Full Size MCM Bassett Bed, Robinson MCM Nightstand, Santa Bears, Vintage Dolls, Vintage Fur Coats and Clothing, Collectibles and Figurines, Laurel Teardrop Lamps, and more. 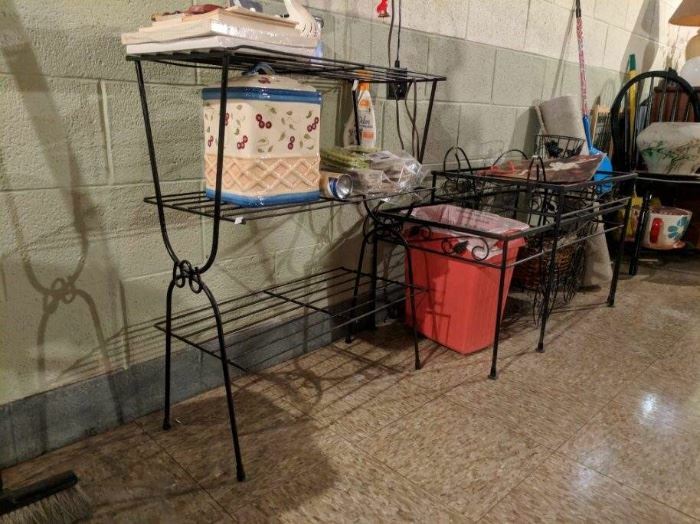 Porch Swing, 3 Piece Metal Patio Set with Couch and 2 Chairs, (2x) 3 Piece Patio Sets with Tables and 2 Chairs each, Cat Toys, Plant Stands, and more. 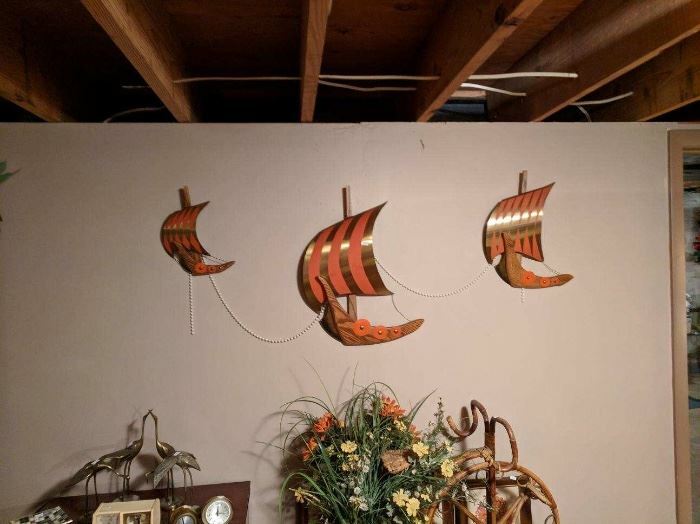 Vintage Viking Ship Wall Art, Dining Table & 4 Chairs, Century Buffet, HL Hubbell Sewing Chest, Florn Clock, Ice Cream Shop Dinette, Carved Accent Table, Vintage Lamps, Linens, Holiday Decor, Metal filing cabinet, Mid Century Mini Desk, Holiday Decor, Mid Century Chairs, Imitation Noguchi Table Set, Lowboy Dresser, Braided Rugs, Mid Century Lamps, Mid Century Tables, Juliette Turntable/Entertainment System, Black Velvet Urban Painting, Sofa, Console Table, Vintage Folding Dinette, Westinghouse Roaster, Holiday Decor, Cookware, Dishes, Luggage, Holiday Decor, USA Team Locker Chests, Montgomery Ward Oven, Gibson Cabinet Freezer, Plastic Utility Shelving, Folding Chairs & Tables, Tools, Hunter Ceramic Heater, Blizzard Fan, Cleaning Supplies, Pet Carriers, and more. 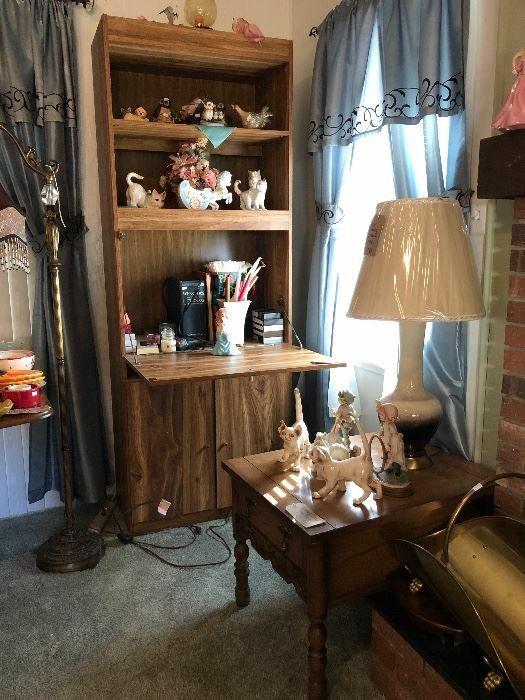 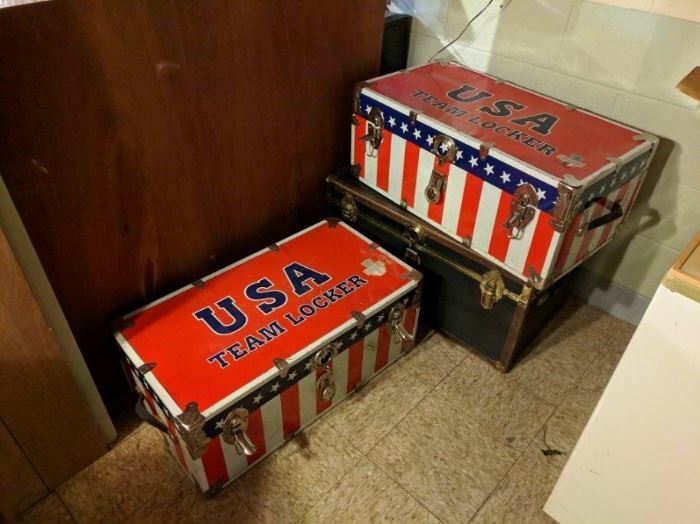 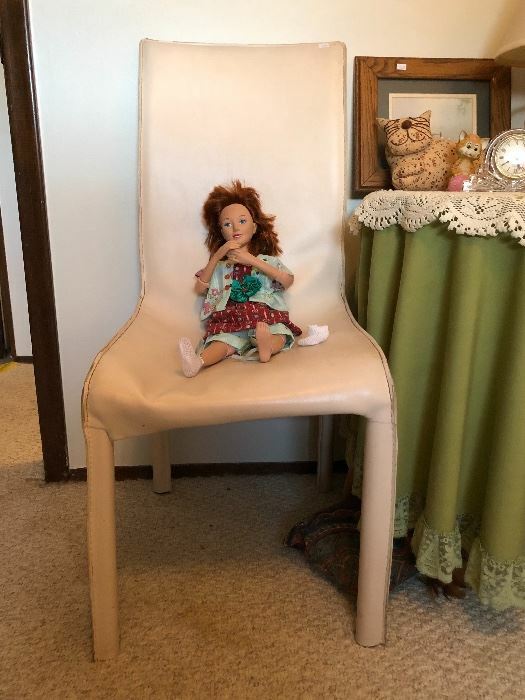 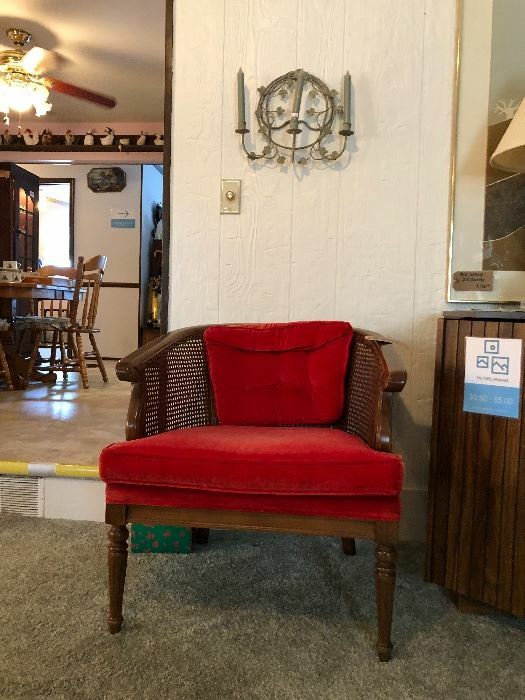 Holiday Decor, Armoire, Plaid Sofa, Armchair, Gardening Supply, Power Tools, Hand Tools, Hardware, Utility Shelving, Plastic Totes, Side Tables , Folding Tables, and more.